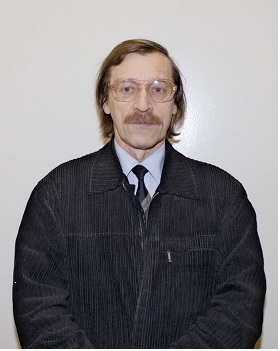 April 13, PGI employee Sakharov Ya.A. 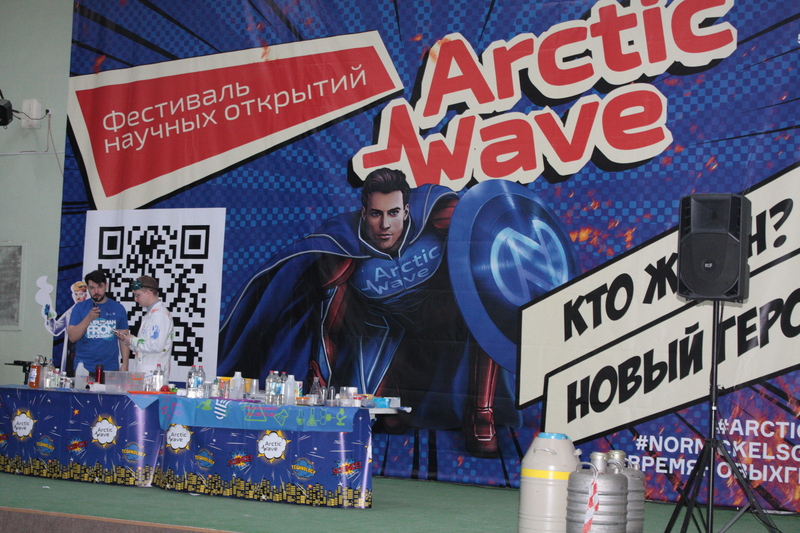 took part in the «Arctic Wave» Discovery Festival, held in Zapolyarny. 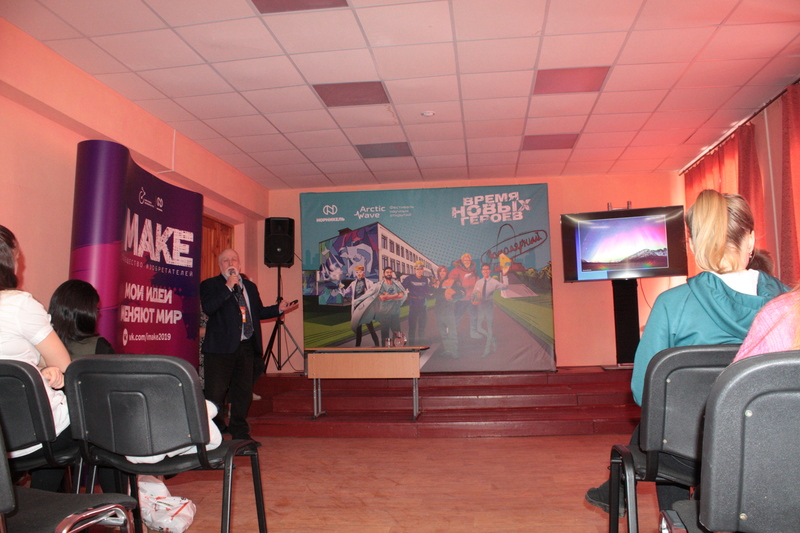 Yaroslav Alekseevich read the lecture about space weather to schoolchildren, took part in the work of the jury of the competition of young inventors “IMAKE”, spoke at the closing ceremony of the festival. 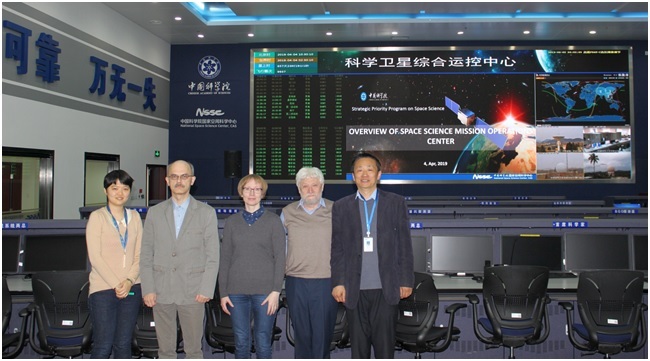 From April 1 to 7, the delegation of the PGI (the director of the PGI is Dr. B.V. Kozelov, Ph.D., Head of the Laboratory of Magnetosphere-Ionosphere Relationships, Dr. A.G. Yakhnin and Senior Researcher N.V. Semenova) visited China at the invitation of the National Space Science Center of the Chinese Academy of Sciences (National Space Science Center, CAS). A working meeting and a joint scientific seminar were held. 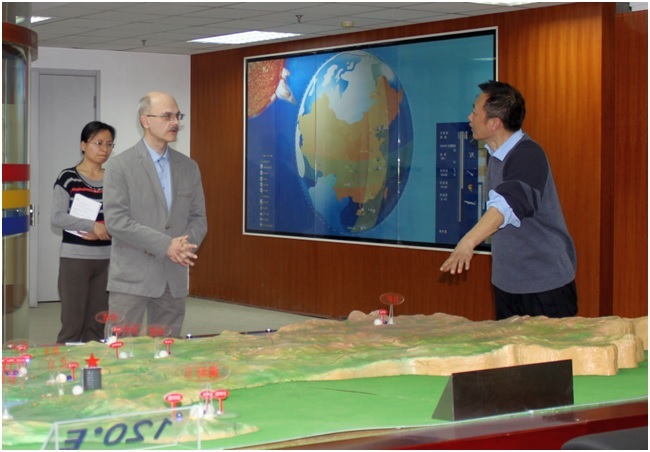 The PGI delegation visited the NSSC Operations Center for scientific satellites. 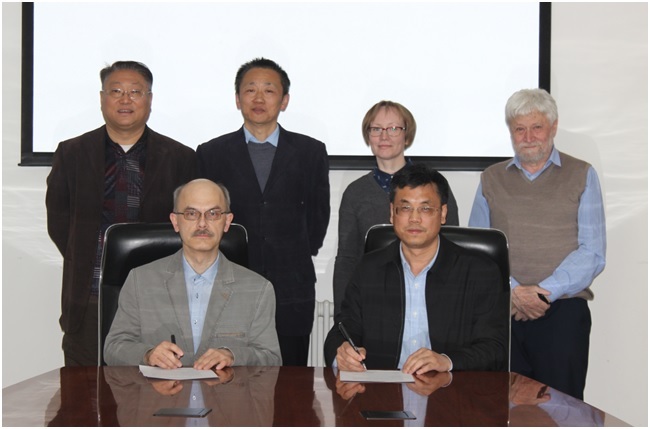 During the visit, the director of PGI, Kozelov B.V. and NSSC General Director Chi Wang (Chi Wang) signed the agreement on scientific cooperation between institutions and a cooperation agreement on the implementation of the International Meridian Circle Program. Before the seminar with Dr. Tao Chen. Signing agreements. Discussion ground observations. In the NSSC Operations Center. 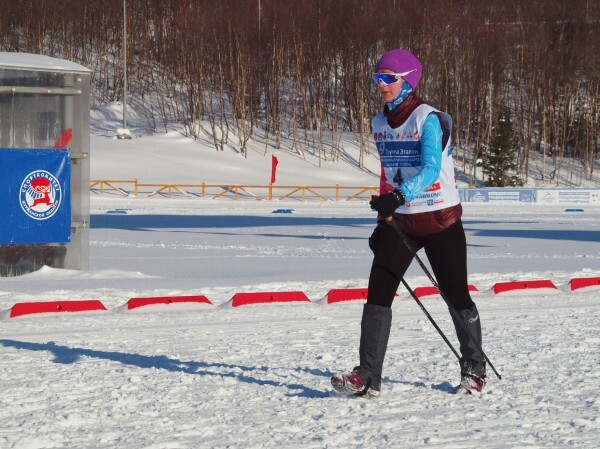 Held in Murmansk, on March 9 and 10, 2019, as path of the 85th traditional Northern Festival were northern (Scandinavian) walking competitions and the First Stage of the Eurasia Marathon Cup in Nordic Walking. 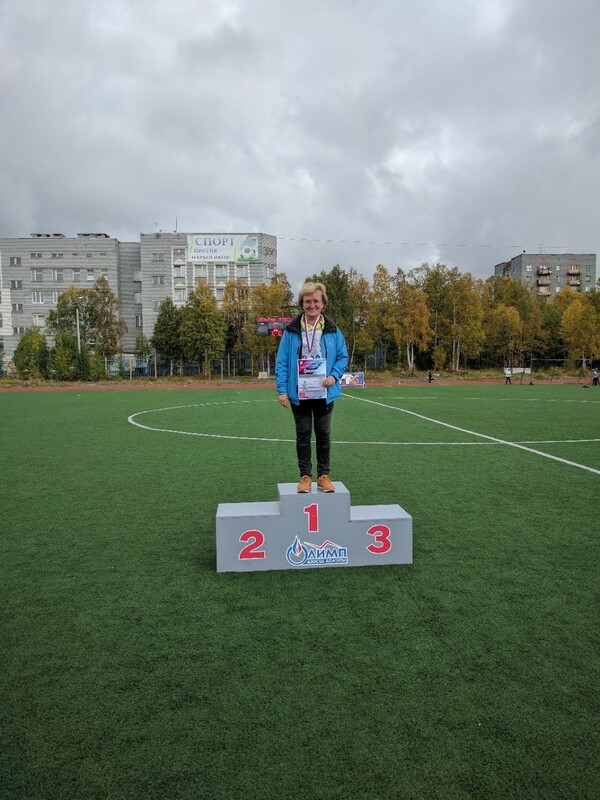 in the overall standings of the First Stage of the Eurasian Marathon Cup Nordic Walking – 3rd place. Congratulations and wish you further success !!! Issue “PGI Geophysical Data, Oct. Nov. Dec. 2018” is available. This bulletin presents the preliminary ground-based optical, geomagnetic and cosmic ray data obtained by Polar Geophysical Institute in the fourth quarter of 2018. All-sky camera observations are published only for the quarters when observations were carried out. All data are available by request. 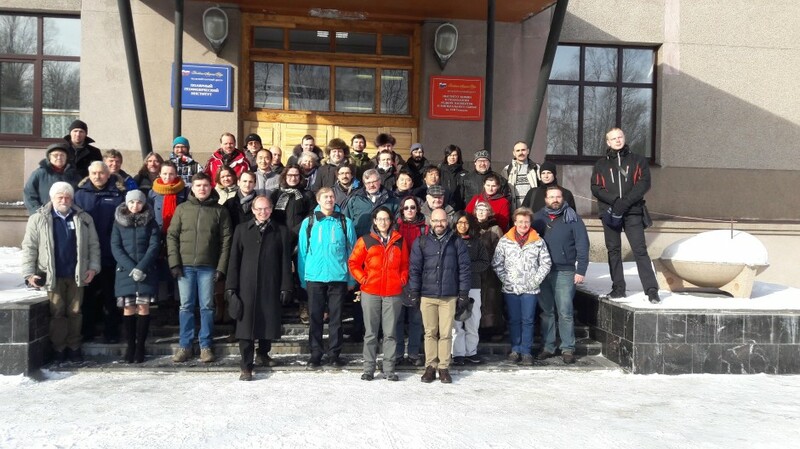 From March 11 to March 15, 2019, the 42nd annual Apatity seminar “Physics of Auroral Phenomena” was held at the Polar Geophysical Institute (Apatity). More than a hundred people (including 40 from other cities of Russia, about half of whom were young scientists) from 17 research institutes and universities took an active part in the seminar. Among the speakers were four representatives of foreign research institutes (from China, Finland and Norway). At the seminar 71 oral and 52 poster presentations were presented. 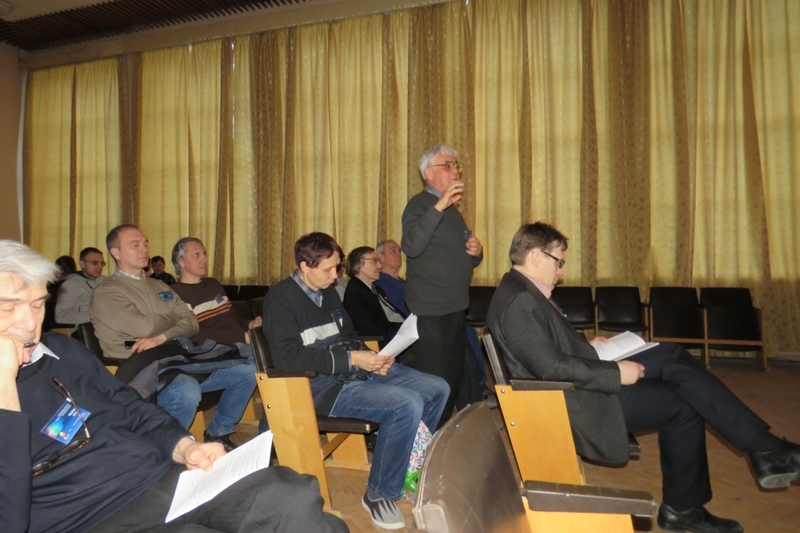 The seminar was dealt with the discussion of the latest results obtained by Russian and foreign scientists in the field of research of geophysical processes, most intensely manifested at the latitudes of the auroral and subauroral zones. As part of the cultural program of the 42nd Apatity Seminar “Physics of Auroral Phenomena”, the already traditional concert was held, in which the youth choir “Victoria” under the leadership of Victoria Filin presents a large program. Excursions to the Kirovsk Museum, to the Snow Village and the Mysterious Forest were also held. 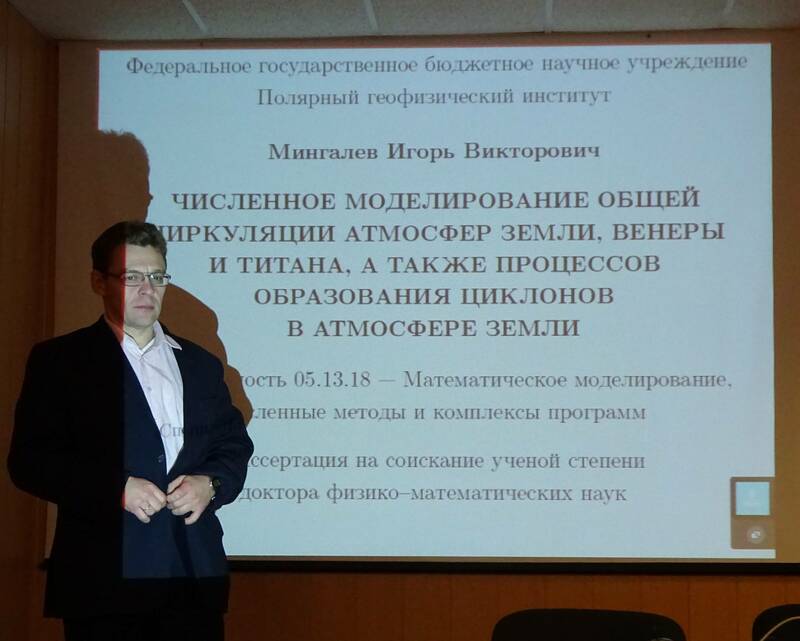 The seminar was financially supported by the Russian Foundation for Basic Research at the expense of the grant No. 19-05-20045. 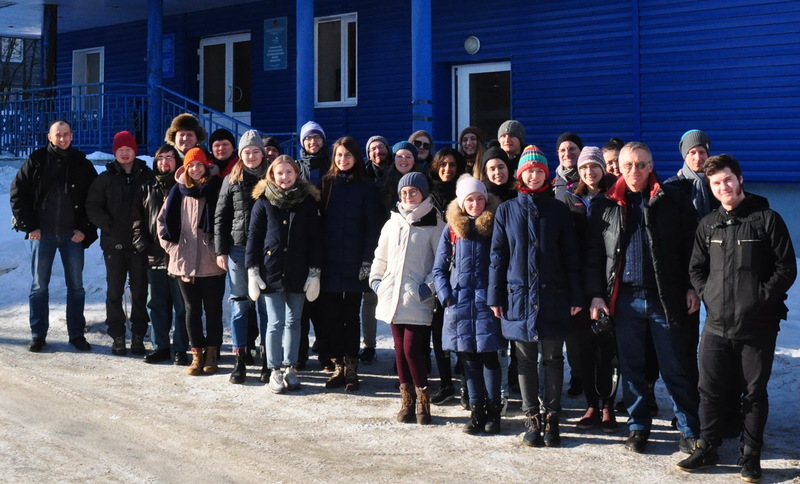 From 11 to 15 March 2019, the first international winter school for undergraduate and graduate students was successfully held at the base of the Polar Geophysical Institute (Apatity). The school is organized under the new Russian-Norwegian project ASTRA – “The Arctic Space Training”. 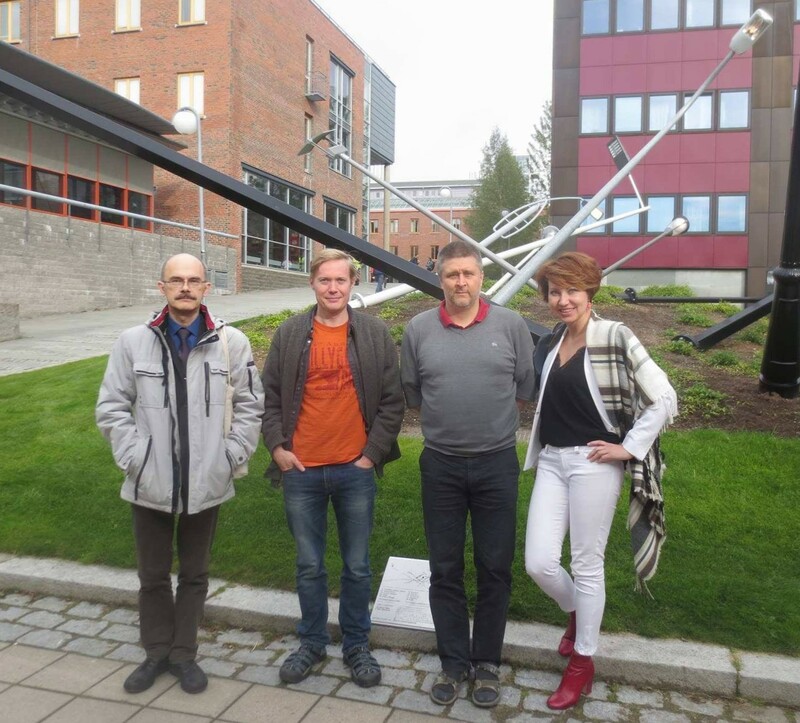 The main aim of the ASTRA project is to unite scientific groups from Norway and Russia to jointly study the manifestations of space weather at the high latitudes, as well as to prepare a new generation of qualified young scientists. During the week, led by 10 educators and researchers from the University of Oslo (Oslo), Arctic University of Norway – University of Tromso (Tromsø), University Center on Svalbard UNIS (Longyearbyen), Space Research Institute of the Russian Academy of Sciences (Moscow), Polar Geophysical Institute (Murmansk-Apatity) and the Institute of the Earth`s Physics (Moscow), 23 students from Russia and Norway studied the properties of the ionosphere in the auroral region. Дорогие женщины! 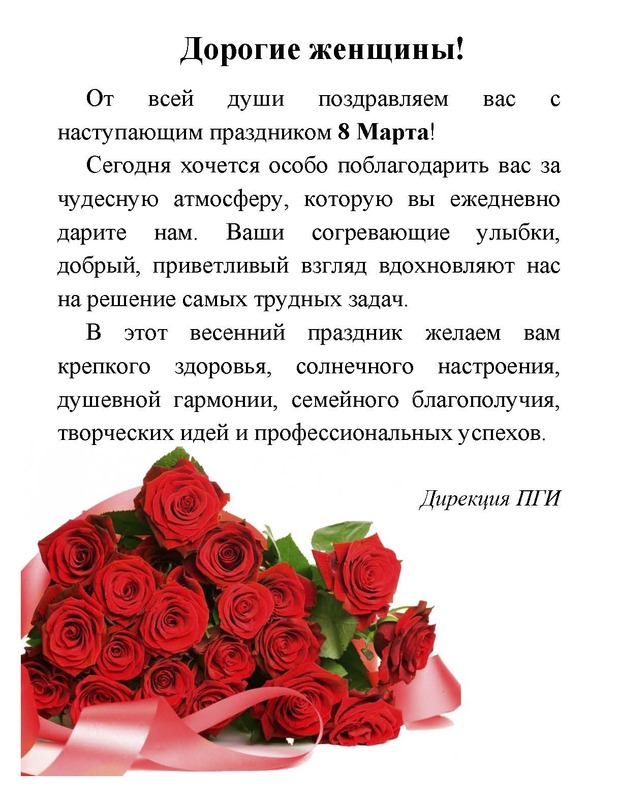 Поздравляем вас с праздником 8 марта! От нас ушел крупный специалист, проработавший в институте более 45 лет и посвятивший свою трудовую деятельность исследованиям полярных сияний и физических процессов в атмосфере Арктики. После окончания Ленинградского государственного университета (кафедра физики атмосферы) в 1966 г. Сергей Александрович работал на острове Хейса (Земля Франца-Иосифа), где занимался измерениями авроральных и геомагнитных пульсаций и принимал участие в ракетных экспериментах прикладного характера. Свою трудовую деятельность в Полярном геофизическом институте С.А. Черноус начал с 1969 г. сначала младшим научным сотрудником, затем старшим научным сотрудником, заведующим лабораторией оптических методов, помощником директора института. До последнего времени он занимал должность старшего научного сотрудника в секторе оптических методов. За плечами Сергея Александровича 12 лет Арктических экспедиций. В период работы в ПГИ под его руководством и при его личном участии была создана фотометрическая сеть в Арктике и Антарктике, разработаны несколько поколений высокочувствительной оптической аппаратуры для наблюдений полярных сияний и слабосветящихся объектов. Он является автором фундаментальных и прикладных работ по исследованию плазмообразующих, плазмогасящих и нейтральных смесей, инжектируемых с борта ракет во время активных экспериментов на ракетных полигонах Капустин Яр, Кируна, о. Хейса, Плесецк, НИС в Северной Атлантике и в совместных работах с космонавтами. Сергей Александрович является автором более 150 научных работ, посвященных исследованию полярных сияний и динамики атмосферы Арктики, изучению авроральных и геомагнитных пульсаций, распространения радиоволн и высыпаний заряженных частиц, соавтором двух монографий и автором книги «Полярные сияния», изданной в 2017 г.
Научная и организаторская деятельность Сергея Александровича неизменно носила оригинальный, новаторский характер. Творческий подход, недюжинный дар научно-технического прогноза всегда придавали неизгладимые, узнаваемые черты его решениям. Неоднократно в истории ПГИ он оказывался у истоков революционных изменений в технике и методике эксперимента. Множество его идей и предложений ещё ждут своей реализации. Сергей Александрович проделал большую научно-техническую и организационную работу по обеспечению ПГИ современной цифровой аппаратурой для регистрации слабых свечений в атмосфере. Он являлся академиком Международной академии экологии и безопасности человека и природы (МАНЭБ), действительным членом Оптического общества имени Рождественского, членом комиссии Президиума РАН по аномальным атмосферным явлениям. Будучи преподавателем Кольского филиала Петрозаводского государственного университета, Сергей Александрович подготовил немало молодых специалистов, руководил курсовыми и дипломными работами студентов, очень много времени уделял работе со школьниками. Мы сохраним благодарную память о нашем друге, товарище и коллеге Черноусе Сергее Александровиче на долгие годы. Дирекция, сотрудники Полярного геофизического института, друзья и коллеги. 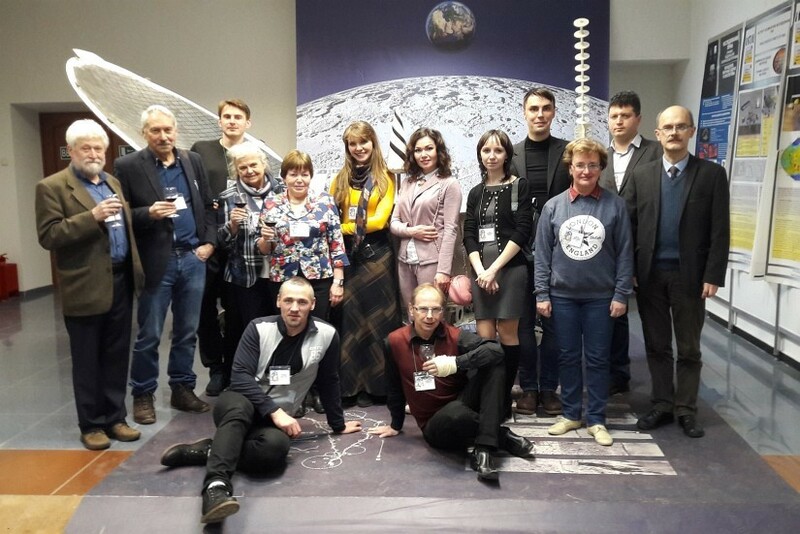 Employees of the PGI took part in the fourteenth annual conference “Plasma Physics in the Solar System”, held from February 11 to 15 at the Space Research Institute. At this conference, Academician L.M. 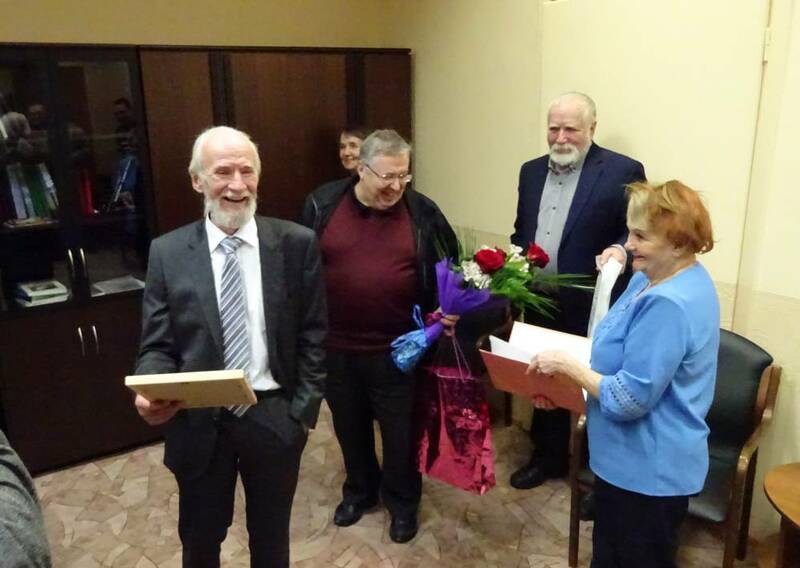 Zelenyi presented the director of PGI B.V. Kozelov memorable medal of A.L. Chizhevsky, established by the Federation of Cosmonautics of Russia. On behalf of the Ministry of Science and Higher Education of the Russian Federation and on my own behalf, I congratulate you on the Day of Russian Science! Russian science is rightly proud of its glorious history, distinguished names and great discoveries. It can be said with confidence that the current generation of Russian researchers successfully multiplies rich traditions and contributes to the development of Russian and world science, expanding the boundaries of knowledge. Today, for the Russian science and higher education system, national-level goals have been identified for building up the country’s scientific and technological potential, developing priority areas for basic and applied research. Large-scale state support and complex mobilization of resources within the framework of the national projects “Science” and “Education” should contribute to the solution of these tasks. I have no doubt that the success of our common cause will not take long to wait. One of the key tasks today is the development of human resources. Our scientific schools are a gold fund capable of giving the new generation of students and young researchers the right guidelines for high achievements. With all my heart I wish all current and future scientists of science good health, inexhaustible vital energy, inspiration and success in scientific research, new victories and discoveries! On January 21-23, 2019, the Arctic Arctic Smart Frontiers International Conference was held in Troms (Norway). Global climate change, negative consequences and new perspectives for the Arctic were the main issues discussed at the conference. It was recognized that without a deep scientific study of this phenomenon, it is impossible to develop new projects for the development of mineral and biological resources of the Arctic region. Within the framework of the conference, a scientific seminar was held on “Creating a Coherent Observing System – the Role of Innovations and Technologies”, organized by scientific institutions participating in the SIOS Consortium (Svalbard Integrated Arctic Earth Observing System). 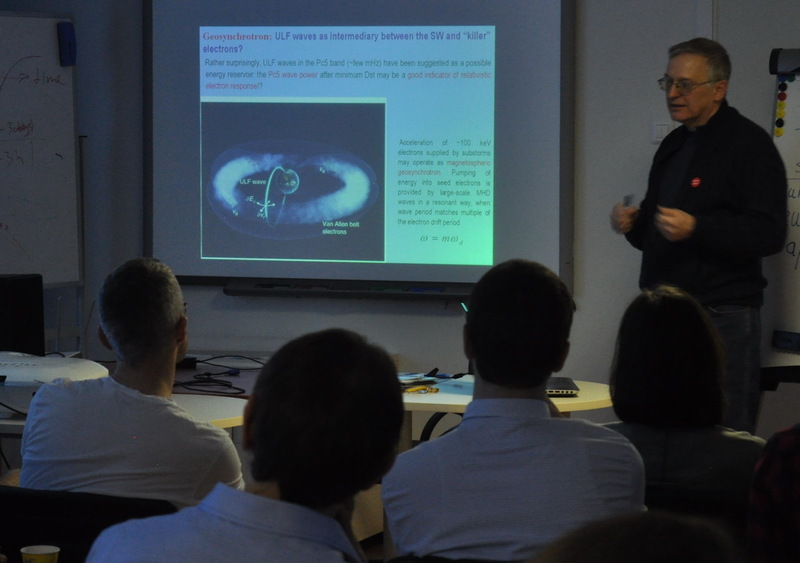 At the seminar, the assistant director of the PGI for international cooperation, Skiotis Elena Ionasovna, presented the main activities of the institute, discussing the possibilities of cooperation and the implementation of projects aimed at studying the manifestations of space weather at the high latitudes. Discussed and identified in the course of the discussion with Hekki Likhovainen (head of SIOS) were possible mutually beneficial prospects for cooperation, including joint projects, and the exchange of satellite, rocket and ground observations. The work on scanning PGI publications continues under the project “Electronic Library – Kola North”. Провожать старый год традиционно принято подведением итогов. Встречать наступающий – планами и ожиданиями. 2019 год обещает быть насыщенным событиями. Мы с вами включаемся в реализацию амбициозных национальных проектов «Наука» и «Образование». Наша цель – лидерские позиции России в мировом научно-технологическом развитии, устойчивый рост экономики и реальные результаты внедрения научных достижений в жизнь россиян.Предстоит большая работа, но российская наука способна обеспечить выполнение поставленных задач. От всей души желаю Вам и Вашим близким в наступающем Новом году крепкого здоровья, мира, добра и счастья! Пусть год будет богат на открытия, победы и достижения во имя благополучия и процветания России! From March 10 to March 17, 2019, an international winter school for undergraduate and graduate students will be held at the Polar Geophysical Institute in Apatity. At the guidance of teachers and researchers from the University of Oslo (Oslo), Arctic University of Norway – University of Tromso (Tromso), University Center on Svalbard UNIS (Longyearbyen), Space Research Institute of the Russian Academy of Sciences (Moscow), Polar Geophysical Institute (Murmansk-Apatity) and Institute of Physics Earth Sciences (Moscow), students and young scientists from Russia and Norway will study the properties of the ionosphere in the Auroral region. Training will be conducted in English. 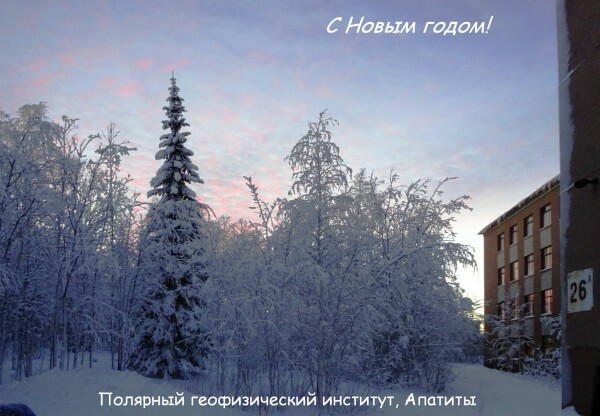 Resume and motivation letter in English for students and graduate students interested in participating in the Winter School in Apatity should be sent to achernyshov@iki.rssi.ru (if you study in Russia) and wjmiloch@fys.uio.no (if you are studying in Norway) until December 22, 2018. 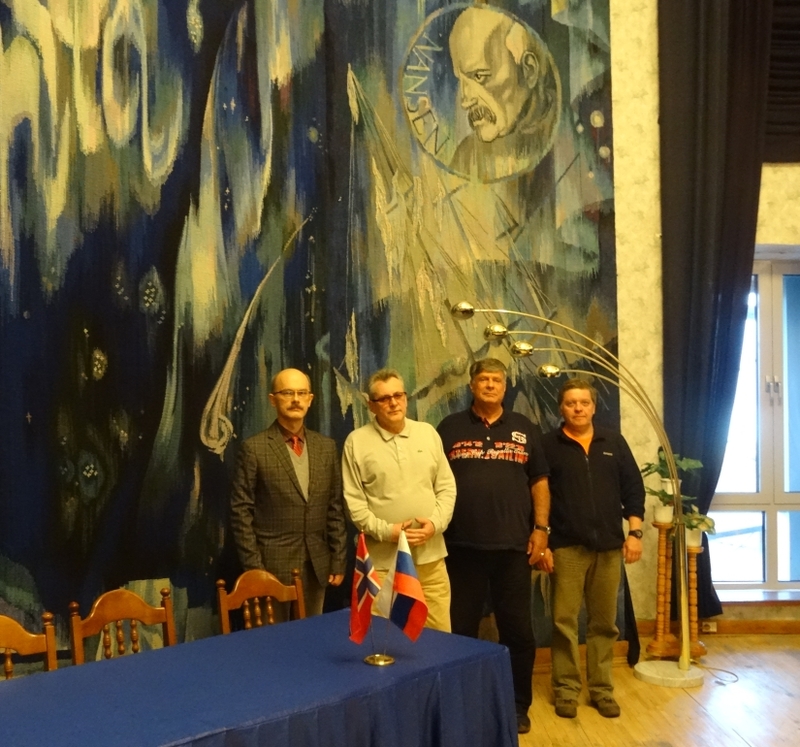 On December 4, 2018, a working meeting of ASTRA project coordinators from Norway and Russia was held at the Space Research Institute of the Russian Academy of Sciences (RAS). Discussed on this meeting were the main issues relating to the organization and holding of the winter school for undergraduate and graduate students. This winter school will be held at the Polar Geophysical Institute in March 2019. The PGI Director B.V. Kozelov and Deputy Director for International Cooperation E.I. Sciotis took part in the meeting. The main objective of the ASTRA project is to unite scientific groups from Norway and Russia for jointly study the manifestations of space weather at the high latitudes, as well as to prepare a new generation of qualified young researchers. This project is designed for 3 years and is fully funded by the Norwegian side. Issue “PGI Geophysical data. 2018. July, August, September” is available. This bulletin presents the preliminary ground-based optical, geomagnetic and cosmic ray data obtained by Polar Geophysical Institute in the third quarter of 2018. All-sky camera observations are published only for the quarters when observations were carried out. All data are available by request. 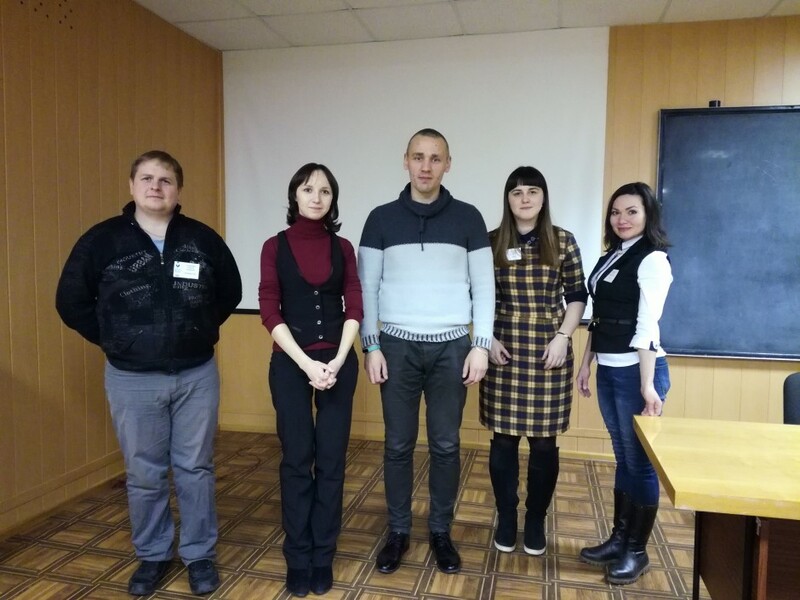 Employees of the Polar Geophysical Institute took part in the sixteenth All-Russian open conference “Current problems in remote sensing of the Earth from space”. The conference was held from November 12 to 16 at the Space Research Institute (Moscow). From 5 to 20 October 2018, the PGI staff conducted a series of experiments on EISCAT (near the Norwegian city of Tromsø), as part of the project “Aspect Angle Effect 2 (AAE2)”, dealed with the study of effects in the ionospheric plasma during the modification of the ionosphere by powerful short-wave radiation from EISCAT / Heating booth. As a result of these experiments, new experimental data were obtained on joint measurements of the EISCAT installation and the satellite signals of the GLONASS navigation system. The experiments were conducted in close cooperation with the Norwegian colleagues. The results obtained are currently being analyzed and are being prepared for publication. 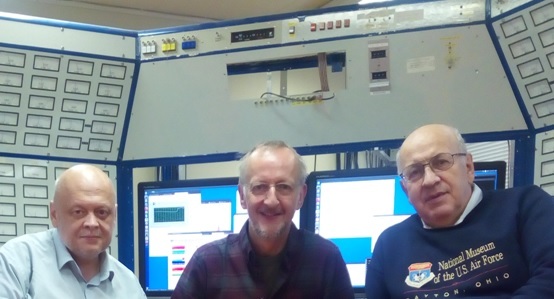 Participants of the experiments on October 5-20, 2018 in the control room of the heating unit EISCAT / Heating (from left to right): Yurik R.Yu., Rietveld M.T., Chernyakov S.M. 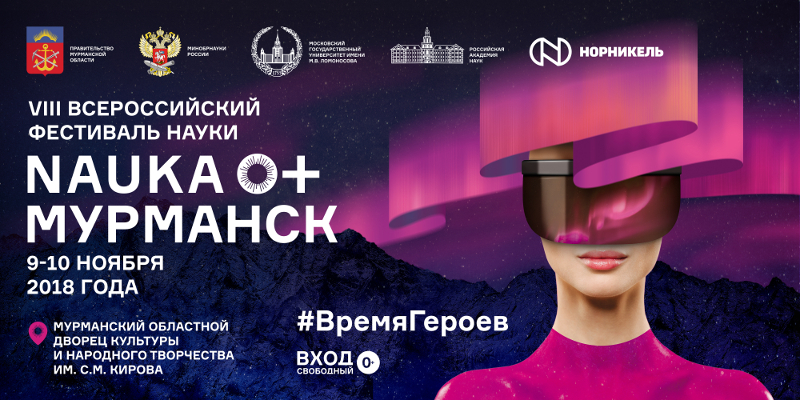 From 9 to 10 November 2018 in the Murmansk Regional Palace of Culture will host the All-Russian Science Festival “NAUKA 0+”. Issue “PGI Geophysical Data, April, May, June 2018” is available. This bulletin presents the preliminary ground-based optical, geomagnetic and cosmic ray data obtained by Polar Geophysical Institute in the second quarter of 2018. All-sky camera observations are published only for the quarters when observations were carried out. All data are available by request. 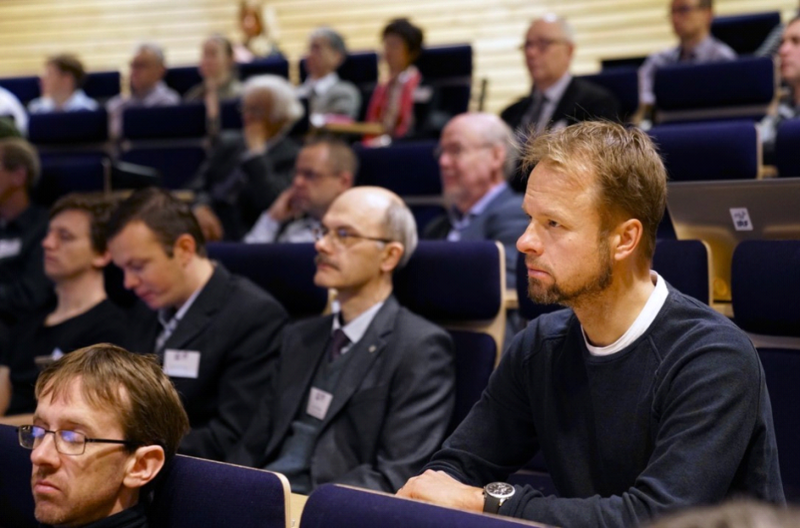 On 29 Septmber 2018 the Arctic University in Norway – Tromso University hosted the International Conference “25th Anniversary of collaboration between UiTThe Arctic University in Norway and Russia” held in the framework of the Days of the Norwegian-Russian cooperation in the Barents region. 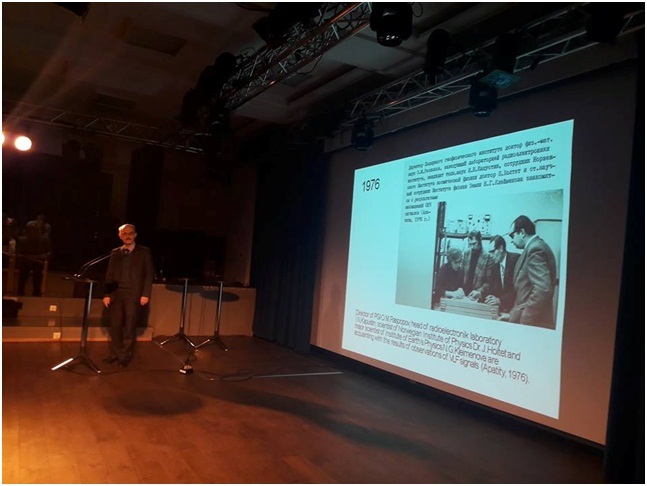 The conference focused on both the historical ground and on the issues of contemporary joint research in the European North and the Arctic, innovative practice-oriented technologies for education, engaging the young in Norwegian-Russian cooperation. The main directions of the joint research in the field of the geophysics were presented by Director of PGI Boris Kozelov.Among the participants were Polar Geophysical Institute, Murmansk Marine Biological Institute, Kola Scientific Center of the Russian Academy of Sciences, Murmansk Arctic State University, Murmansk State Technical University, Northern (Arctic) Federal University, Northern State Medical University, High School of Economics. Issue “PGI Geophysical Data, January, Febuary, March 2018” is available. This bulletin presents the preliminary ground-based optical, geomagnetic and cosmic ray data obtained by Polar Geophysical Institute in the first quarter of 2018. All-sky camera observations are published only for the quarters when observations were carried out. All data are available by request. 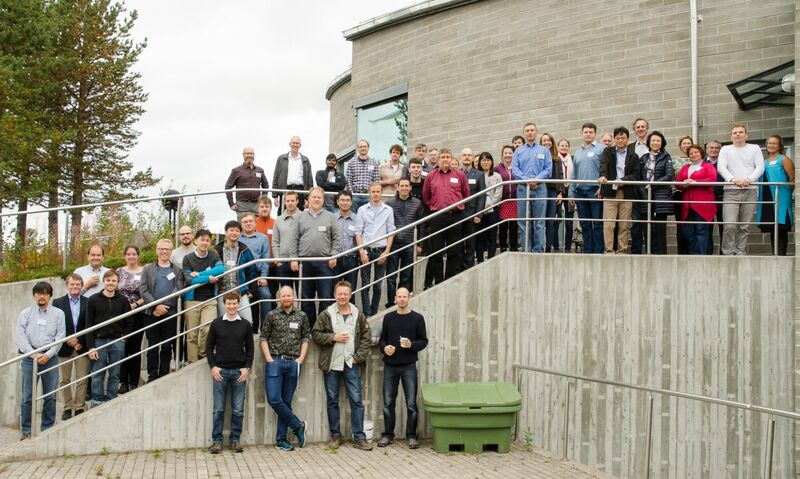 PGI employs took part in the 45th Annual European Meeting on Atmospheric Studies by Optical Methods, (45AM), which held in Kiruna by the Swedish Institute of Space Physics (IRF) on 27-31 August 2018. 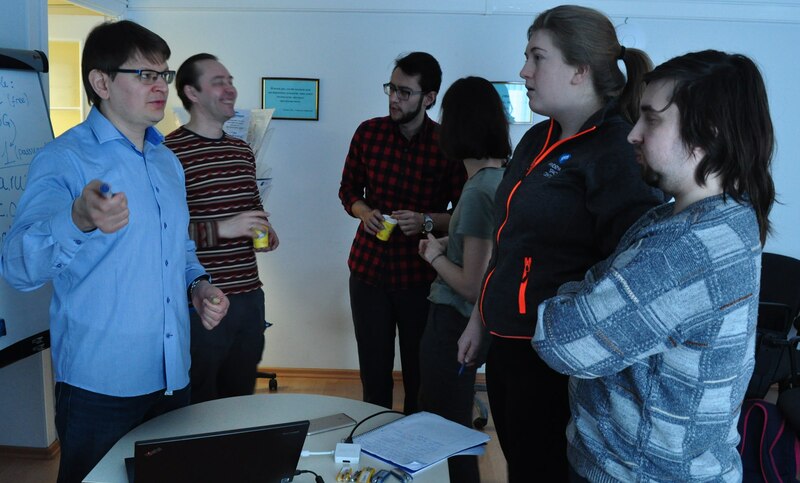 Employees of the Polar Geophysical Institute took part in the summer scientific school conducted within the framework of the ASTRA project “The Arctic Space Training” at the UNIS University Center located in the Svalbard archipelago. The Arctic Space TRAining (ASTRA) is a platform providing a research-based student training in space science. It focuses on the Norwegian and Russian Arctic regions, which have excellent location for studying the polar ionosphere. ASTRA gives hands-on education for last year bachelor students, master students and PhD candidates. The training includes using various research facilities and instruments across the border including satellites, rockets, and ground-based instruments (magnetometer networks, EISCAT, SuperDARN, and optical instruments for the studies of the northern lights). The total lunar eclipse was on July 27, 2018. Because of the bright sky at high latitudes, the Moon was of a kind only in the phase of coming out of the shadow of the Earth. 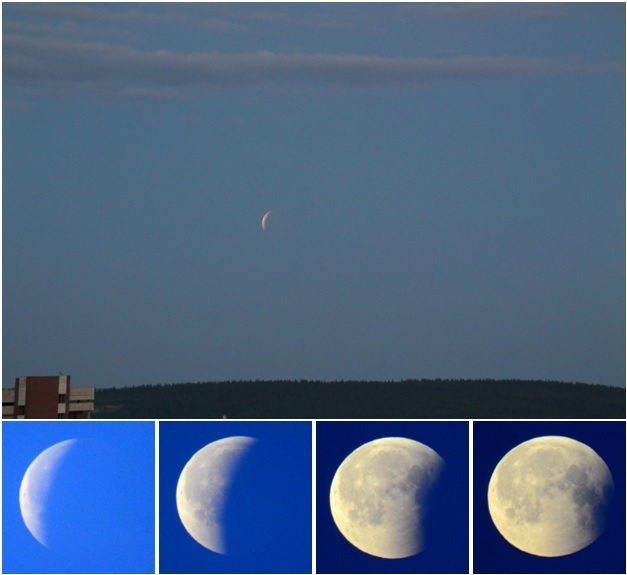 Observed simultaneously with the eclipse at lower latitudes, Mars was not visible at the latitudes of the Murmansk region – it was below the horizon. 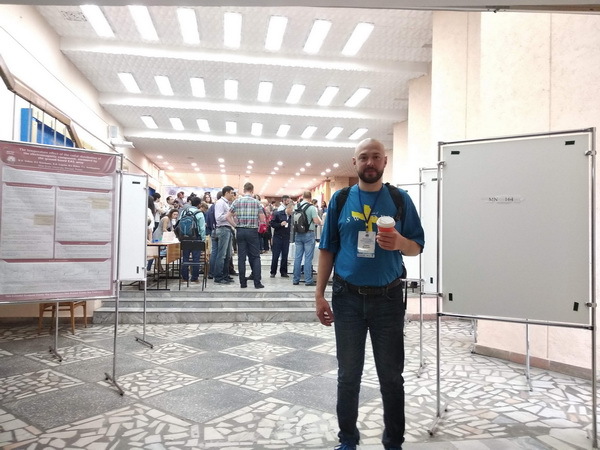 Employees of the Polar Geophysical Institute took part in the 26th Extended European Cosmic Ray Symposium (E+CRS 2018) in conjunction with 35th Russian Cosmic Ray Conference (RCRC 2018) which was hold at the Altai State University (Barnaul – Belokurikha – Altai Mountains) on July 6 – 10, 2018. Until the end of 2018, the Polar Geophysical Institute extended access to the Web of Science and Scopus databases. Also, access to the journals of publishers Wiley and APS (American Physical Society) has been extended. June 4-7, 2018 on the basis of FIC “Kazan Scientific Center of the Russian Academy of Sciences” was held II All-Russian scientific and practical conference “Scientific instrument-making – the current state and prospects of development”. At the conference were presented developed and used in the Polar Geophysical Institute instruments for observing auroras, low-frequency electromagnetic fields ELF, ELF and VLF bands. 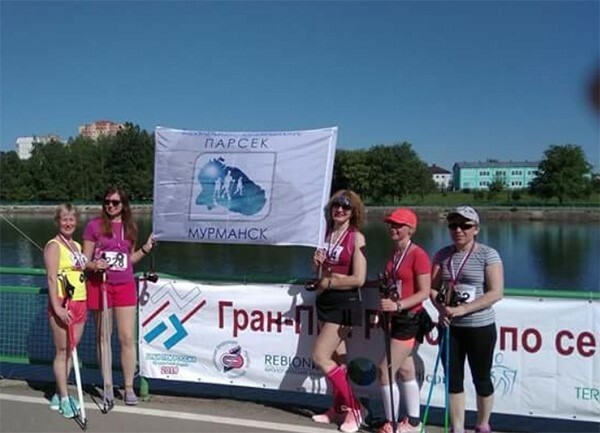 May 26 in the village of Voronovo (New Moscow) was the first Grand Prix of Russia on Nordic walking. For the title of the strongest fought the top 50 athletes from 14 regions of Russia. 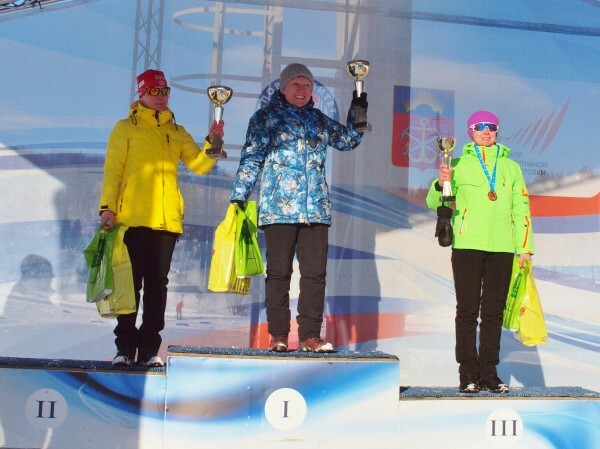 Head of the PGI Personnel Department Elena Matveicheva (pictured second from right), who plays for the Murmansk club “Parsek”, took the second place in her age category, in absolute category Elena Mikhailovna became the fifth. Congratulations! 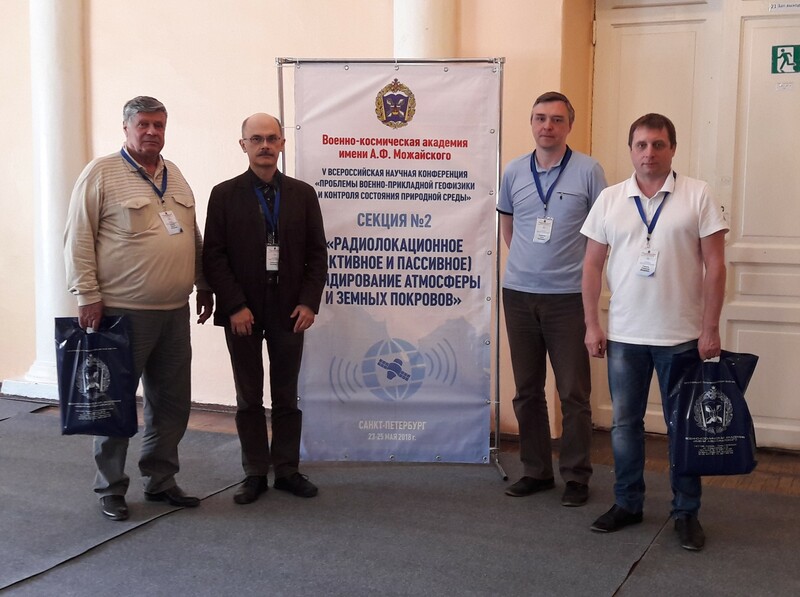 PGI staff took part in the V All-Russian Scientific Conference “Problems of Military-Applied Geophysics and Environmental Control”, which took place from May 23 to May 25, 2018 at the Military Space Academy named after A.F. Mozhaisky (St. Petersburg). The PGI delegation took part in the working meeting of the ASTRA project coordinators – “The Arctic Space Training”, held at the University of Oslo and devoted to the organization of summer and winter scientific schools. On the working meeting the work on the project documents was discussed. The Polar Geophysical Institute was represented as the leading Russian partner institute of the project, taking part in the organization of summer and winter scientific schools. 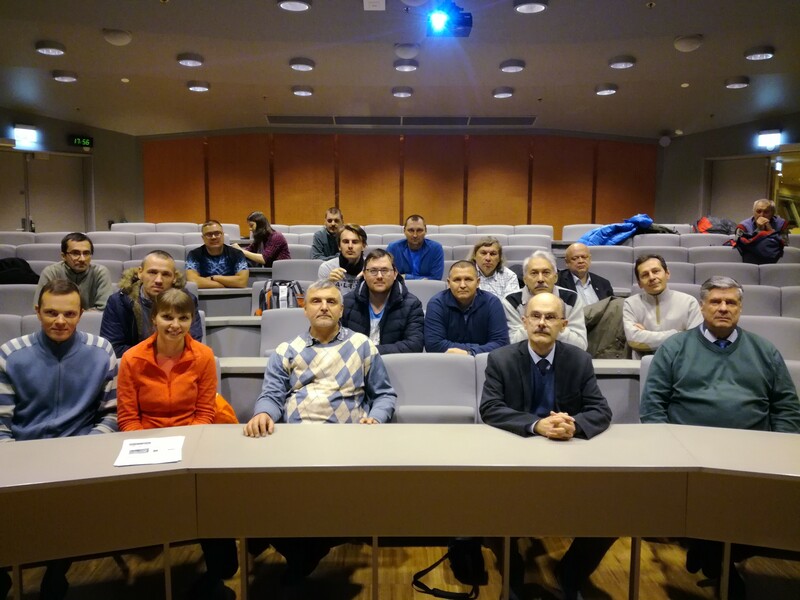 Also with the coordinators and participants of the project it were discussed the organizational issues concerning the students visit of the summer school to the PGI Observatory in Barentsburg in August 2018 and the students visit of the winter school to PGI (Apatity) in March 2019. Together with the project coordinators, a work plan and a training program for these activities were drawn up, a budget plan for the winter school into PGI was defined, and requirements for the substantive and financial reporting documentation of the project were discussed. Issue “PGI Geophysical Data, Oct. Nov. Dec. 2017” is available. This bulletin presents the preliminary ground-based optical, geomagnetic and cosmic ray data obtained by Polar Geophysical Institute in the fourth quarter of 2017. All-sky camera observations are published only for the quarters when observations were carried out. All data are available by request. 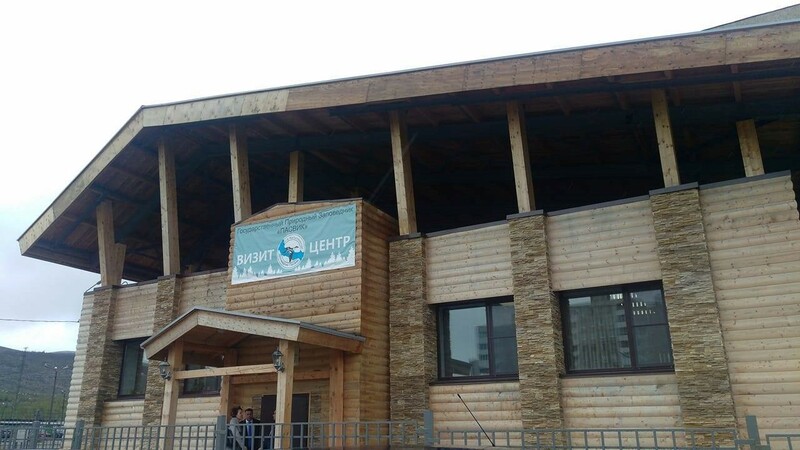 In Murmansk the 17th International scientific conference of students and post-graduate students “Problems of the Arctic region” was devoted to the consideration of all aspects of development of the Arctic region: natural, ecological, technical, economic and humanitarian. The conference has worked on the sections “Biology and medicine”, “Geology and geophysics of the Arctic region”, “Hydrobiology”, “Humanitarian and social problems”, “Information technologies and mathematical methods”, “Marine biology”, “Problems of education in the Arctic region” , “Physical problems”, “Chemical and technological problems”, “Ecology of the North”, “Economic problems of development of the Arctic”. The Polar Geophysical Institute, the Murmansk Arctic State University, the Murmansk State Technical University, the Murmansk Marine Biological Institute KSC RAS again gathered the future of Russian science – students and graduate students of the Kola Peninsula, St. Petersburg, Arkhangelsk, Petrozavodsk and Yakutia – on one platform. It was fundamental and applied science of the widest range, the main task of it is the preparation of young cadres for the universities, scientific institutes and industry of the country, in this case for the Murmansk region. 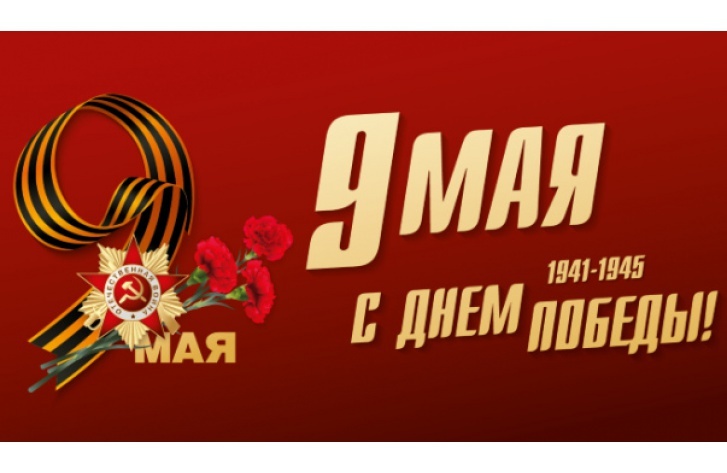 With all my heart I congratulate you on holiday – the Day of Victory in the Great Patriotic War! Employees of the Polar Geophysical Institute took part in the second All-Russian scientific-practical conference with international participation «The future of the Arctic begins here». 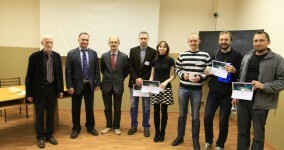 The conference was held on April 18 in the branch of the Murmansk Arctic State University in the Apatity. 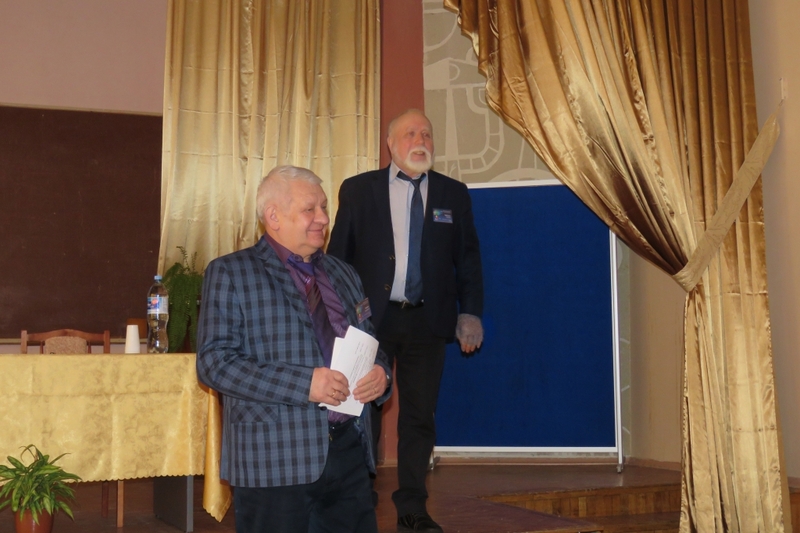 Within the framework of this conference, the PGI director Kozelov Boris Vladimirovich told the audience about the space weather and the research of its impact on the Arctic. 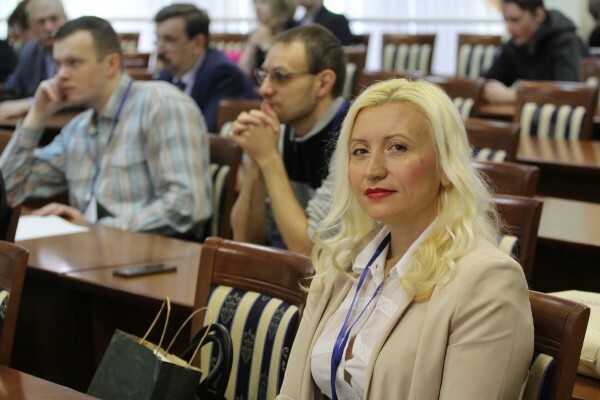 The International Scientific Conference “Parallel computational technologies (PCT) 2018″ was held at the Don State Technical University (Rostov-on-Don) from April 2 to 6, 2018. “Parallel computational technologies (PCT) 2018″ is the twelfth annual international scientific conference aimed to develop and employ parallel computational technologies in versatile areas of science and technology. The main goal of the conference is to provide an opportunity to discuss the prospects for the development of parallel computational technologies and to present the results obtained by leading scientific groups in using supercomputer technologies to solve the science and technology problems. At this conference, the Polar Geophysical Institute employees presented their achievements in the field of parallel computing. 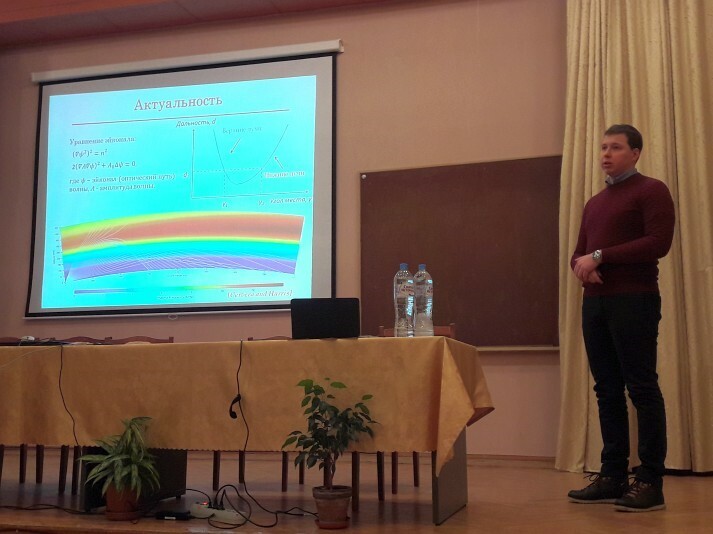 March 26-28, 2018 in the city of Apatity in the Polar Geophysical Institute of the Russian Academy of Sciences was held a scientific conference and a school of young scientists “Atmospheres of planets: from the terrestrial group to exoplanets”. 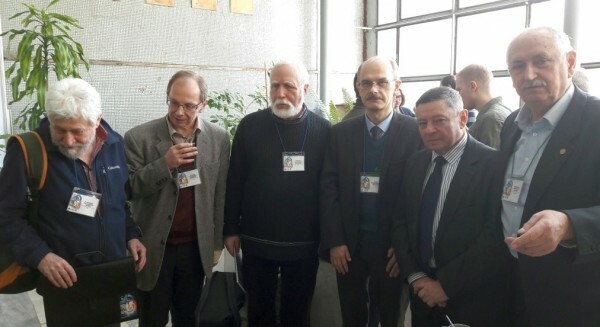 The conference is organized with the participation of Polar Geophysical institute, the laboratory “Atmospheres of the terrestrial planets and exoplanets” of the Space Research Institute of the Russian Academy of Sciences, the laboratory of applied infrared spectroscopy at the Moscow Institute of Physics and Technology, the Russian science foundation (project №17-12-01458). About 40 people took part in the conference (including 32 from other Russian cities, of which 27 are young scientists). The conference is devoted to the study of the atmospheres of the terrestrial planets: Earth, Venus, Mars from modern physical processes from the troposphere to the exosphere of the Earth, Mars, Venus and Saturn’s satellite Titan, polar processes in the atmospheres. The conference discussed both experimental methods of remote study of atmospheric physical processes, as well as the latest observational data of the planets of the solar system, results and methods of numerical modeling of atmospheric dynamics. A special place was given to modern achievements in the field of exoplanet research, the prospects for the development of methods for detecting earth-like planets outside the solar system. Scientists from the Polar Geophysical Institute gave an interview to the correspondent of the newspaper «Kirovsky Rabochiy». The note was published in the newspaper «Kirovsky Rabochiy» No. 12 of March 22, 2018. 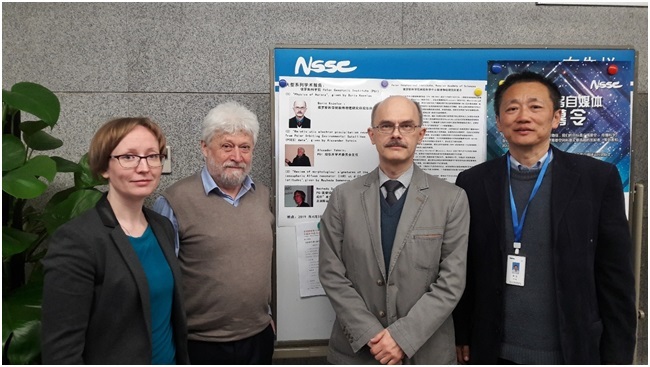 In the Polar Geophysical Institute (PGI) in Apatity, an international scientific conference of the working group on VLF/ELF Remote Sensing of the Ionosphere and Magnetosphere VERSIM was held from March 19 to 23. The working group on VLF/ELF Remote Sensing of the Ionosphere and Magnetosphere (VERSIM) is an international group of scientists interested in studying the behavior of the magnetosphere and ionosphere by means of ELF (300 Hz – 3 kHz) and VLF (3-30 kHz) radio waves, both naturally and artificially generated. The group was set up in 1975 by IAGA (International Association of Geomagnetism and Aeronomy) and URSI (International Union of Radio Science), as described in the working group history. Since 2004, the VERSIM working group holds conferences every two years. These conferences devoted to discussing the latest scientific results obtained in the field of research of all possible processes in the near-earth space in which low-frequency electromagnetic waves participate. Such meetings help scientists to learn better from the first lips about the latest achievements and also to discuss possible joint projects. Scientists from Russia, Japan, Hungary, the Czech Republic, France, Finland, the United Kingdom, the United States, engaged in research in the field of physics of the magnetosphere, ionosphere, solar-terrestrial connections, as well as applied research have gathered in Apatity for the VERSIM conference. From March 12 to 16, 2018, the 41st Annual Apatity Seminar “Physics of Auroral Phenomena” was held at the Polar Geophysical Institute hosted. More than 80 people took part in the seminar (including 42 from other Russian cities, of whom about half are young scientists) from 22 research institutes and universities. Among the participants there were three representatives of foreign research institutes (from China and Bulgaria). 56 oral and 73 poster presentations were presented. 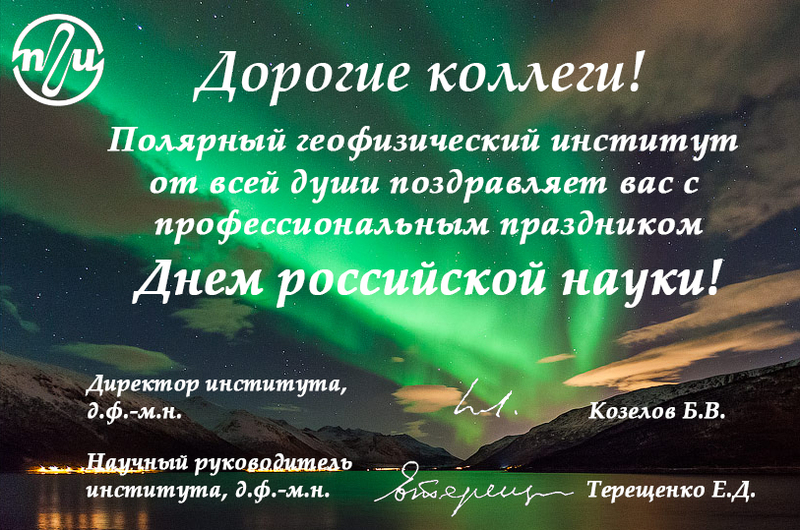 The seminar is devoted to the discussion of the latest results obtained by Russian and foreign scientists in the research field of geophysical processes that are most intensively manifested at the auroral and subaural latitudes. 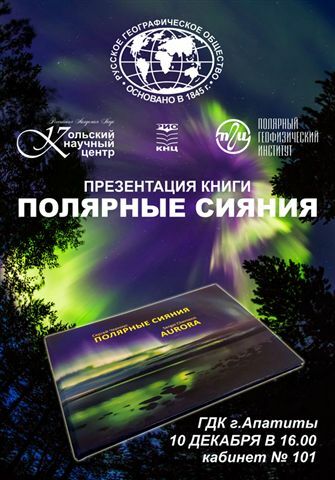 Within the cultural program of the 41st Apatity Seminar “Physics of Auroral Phenomena”, a concert was held. Also there were excursions to the Museum of Kirovsk and to the Snow Village. Северная ходьба на Празднике Севера 17-18 марта. On Thursday, March 15, a seminar was held at the PGI. On this seminar PhD student from the Baltic Federal University named after I. Kant (Kaliningrad) Nosikov I.A. presented his dissertation. Сердечно поздравляем вас с наступающим праздником 8 Марта! Пусть сбываются все ваши надежды и мечты, пусть каждый ваш день будет озарён счастливой улыбкой, а вместе с ароматом весенних цветов в вашу жизнь войдут радость и благополучие. Желаем вам доброго здоровья, любви, поддержки близких. Пусть взаимопонимание, согласие и радость всегда сопутствуют вам! Для поздравления приглашаем вас в среду 7-го марта в 12.30 в конференц-зал ПГИ. On February 12-16, 2018, the thirteenth conference “Plasma Physics in the Solar System” was held at the Space Research Institute RAS. 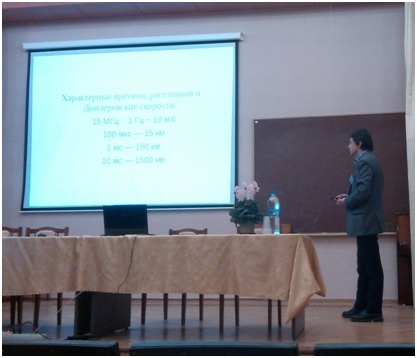 The conference topics were related to theoretical and experimental studies of processes in cosmic plasma, in particular, processes on the Sun, in the solar wind, in the Earth `s ionosphere and magnetosphere and other planets of the solar system. In addition, studies of wave processes in cosmic plasma, work on the physics of thin current layers, numerical and laboratory modeling of various plasma processes were discussed. Scientists from the PGI presented a number of reports at various sections, and also actively participated in discussions of recent achievements. 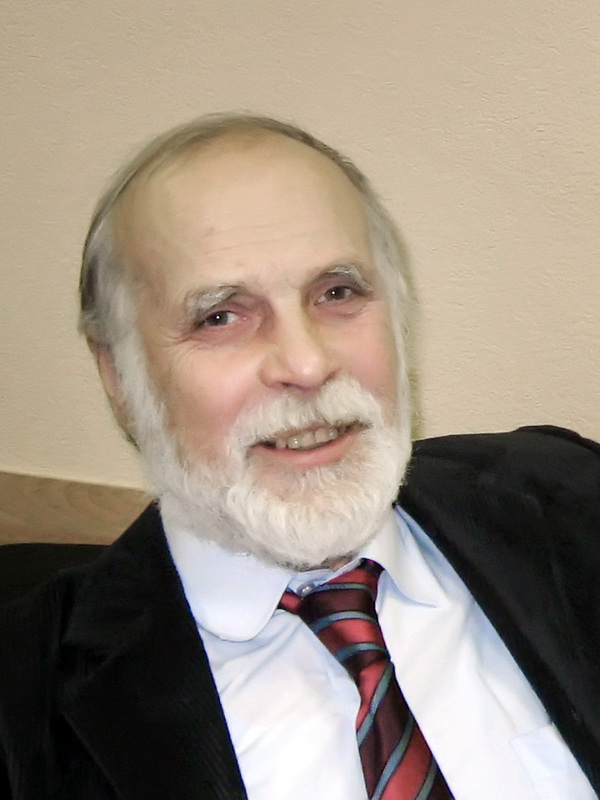 Vladimir Leonidovich Zverev, the PGI senior researcher, candidate of physical and mathematical sciences, published in the newspaper “two times two” the notes how he was a participant of the Soviet Antarctic expedition in 1969. Geophysicists studied space choruses in the Earth’s radiation belt. Geophysicists studied space choruses in the Earth’s radiation belt Scientists of the Polar Geophysical Institute investigate low-frequency signals that can affect the Earth’s radiation belt. The forecast of the behavior of the belt will minimize the damage from cosmic radiation for satellites and cosmonauts. In the future, scientists see the possibility of artificially influencing the radiation belt. One of the articles on the results of research published in the journal Geophysical Research Letters. 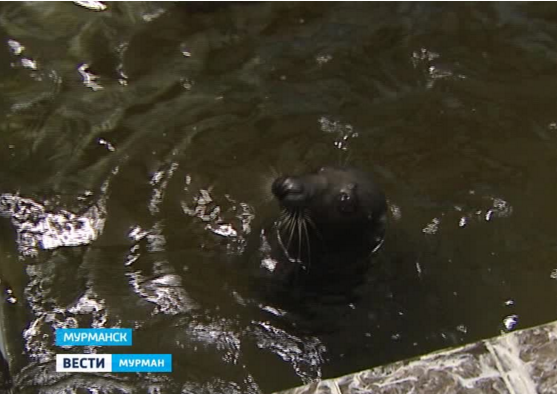 The research is supported by a grant from the Russian Science Foundation (RSF). Issue “PGI Geophysical data. 2017. July, August, September” is available. This bulletin presents the preliminary ground-based optical, geomagnetic and cosmic ray data obtained by Polar Geophysical Institute in the third quarter of 2017. All-sky camera observations are published only for the quarters when observations were carried out. All data are available by request. 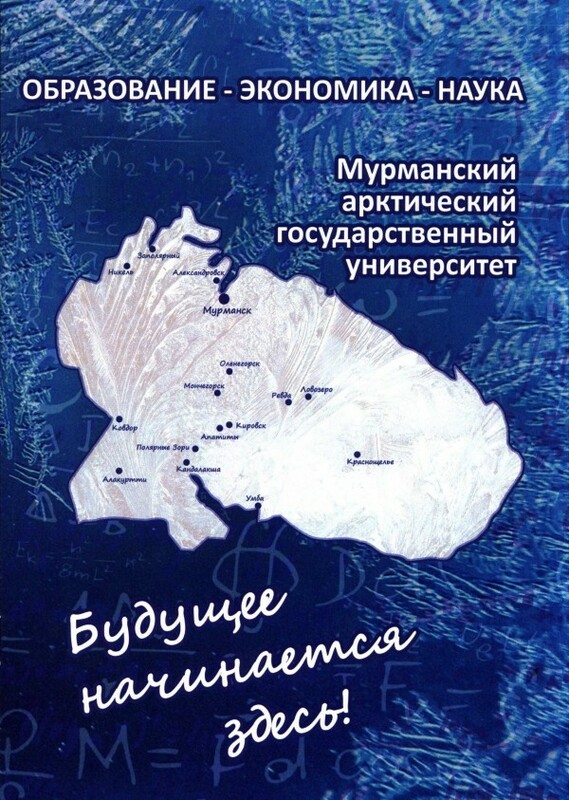 The collection contains scientific articles on the materials of the reports of the XVI International Scientific Conference of Students and PhD students “Problems of the Arctic Region”, May 16, 2017, Murmansk. The collection of proceedings includes the results of scientific work of students and graduate students of various universities, scientific organizations and their branches. The subjects of the presented works include studies related to physical, chemical, biological, medical, environmental, technical problems, as well as studies on the pedagogy, economics and sociology of the Arctic region. Interview STRC «Murman» on the observation of a large meteorite in the atmosphere over the Kola Peninsula. PGI Director Boris Kozelov gave an interview to the State TV and Radio Company «Murman» about the observation of a large meteorite in the atmosphere over the Kola Peninsula. 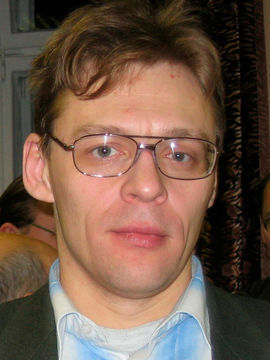 The report was attended by the PGI researcher VA. Turyansky. VII International Forum «Arctic: Present and Future», St. Petersburg. 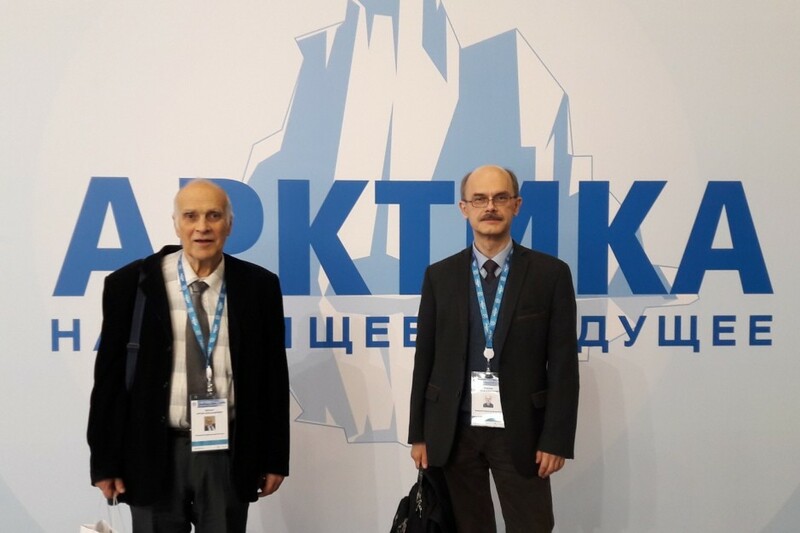 Director of PGI Boris Kozelov and senior researcher Sergei Chernous took part in the VII International Forum «Arctic: Present and Future», which was held December 4-6, 2017 in St. Petersburg. A group of scientists from the Polar Geophysical Institute visited the UNIS University Center located on the Spitsbergen Archipelago. The purpose of the visit was to participate in a workshop that took place from October 27 till October 29, 2017. 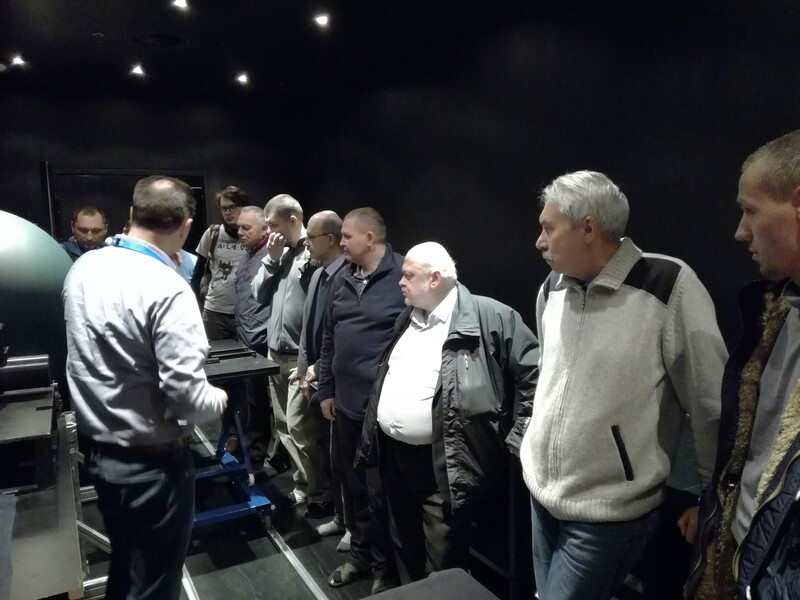 As part of the workshop, an excursion to the Henrikson Observatory was organized for the PGI staff, where Norwegian colleagues introduced the PGI staff to experiments and new installations being developed by Norwegian scientific groups. In addition, an excursion to the UNIS University Center was organized, where the University Professor Duck Lorenzen made a report on the status, work and development of the UNIS University Center. PGI scientists discussed with Norwegian colleagues issues of possible cooperation and participation in joint projects. 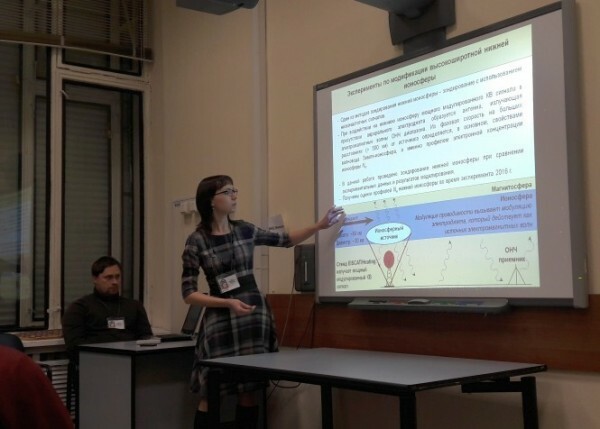 At the 6th school of young scientists “High-Latitude Geophysical Research”, held on November 23, 2017 in the city of Apatity, at the Polar Geophysical Institute, new scientific results were presented by young Russian scientists from the academic institutes and higher educational institutions of the Murmansk region. - the impact of space weather on the state of technological systems and biological objects. Conducting an already traditional conference has a great importance for training the human resources of Russian science in the field of Earth sciences. 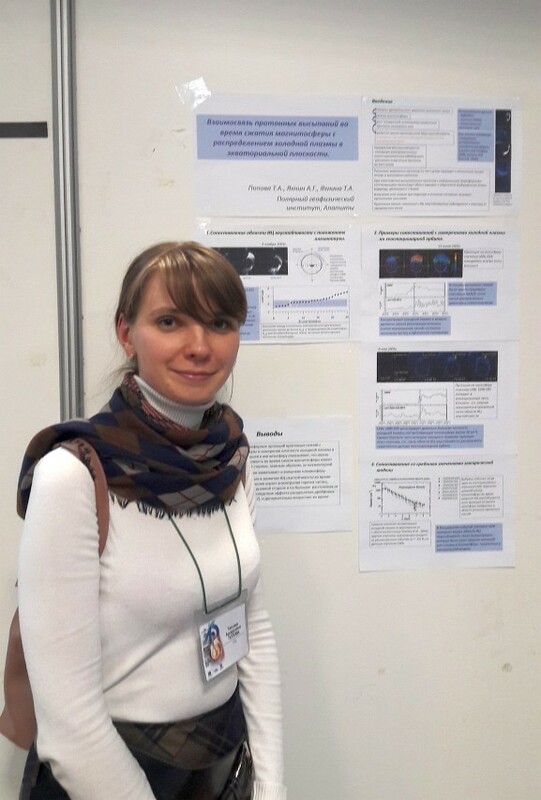 Following the results of the conference, the scientific works of the following young scientists were singled out: Fedotova E.A. (PGI), Skorokhodov A.A. (Geological Institute KSC RAS), Lebed O.M. (PGI), Suvorova Z.V. (PGI), Nikitenko A.S. (PGI). Issue “PGI Geophysical Data, April, May, June 2017” is available. This bulletin presents the preliminary ground-based optical, geomagnetic and cosmic ray data obtained by Polar Geophysical Institute in the second quarter of 2017. All-sky camera observations are published only for the quarters when observations were carried out. All data are available by request. 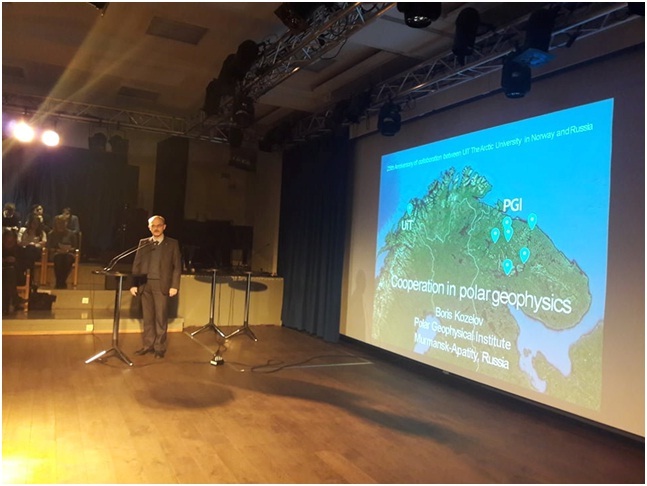 PGI Director B.V.Kozelov participated in the III International Conference “Polar Routes of the Arctic” with the report “Space Weather and Its Impact on Life and Infrastructure in Arctic Latitudes” presented in the framework of the discussion “Scientific and Applied Activities in the Arctic”. The conference was organized by the Ministry of Economic Development of the Murmansk region, the Ministry of Education and Science of the Murmansk region and the “Association of polar explorers of the Murmansk region”. PGI took part in the organization of training session for gifted children. 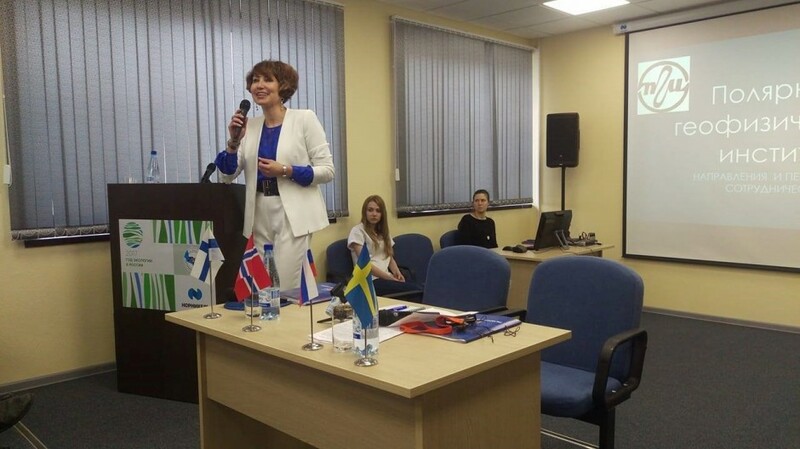 The regional center of additional education “Lapland” together with the branch of the Murmansk Arctic State University in the city of Apatity and the Polar Geophysical Institute organized training session for gifted children of 10-11 grades. Within the framework of the session, the PGI staff conducted mathematics classes for the children, aimed at in-depth study of the subject in order to prepare for participation in the Olympiads of various levels. At the Polar Geophysical Institute, an interesting lecture on space weather was organized for children, schoolchildren got acquainted with the work of the neutron monitor, an amazing device installed in the Pyramida and recording traces of cosmic rays. On Sunday, November 5th, 2017, the Mathematical Olympiad was held on the basis of the Murmansk Arctic State University in the city of Apatity, organized by the employees of the Polar Geophysical Institute. In total, more than 150 schoolchildren from the 5th to the 7th grades took part in the Mathematical Olympiad. Winners and prize-winners were awarded with diplomas and medals. 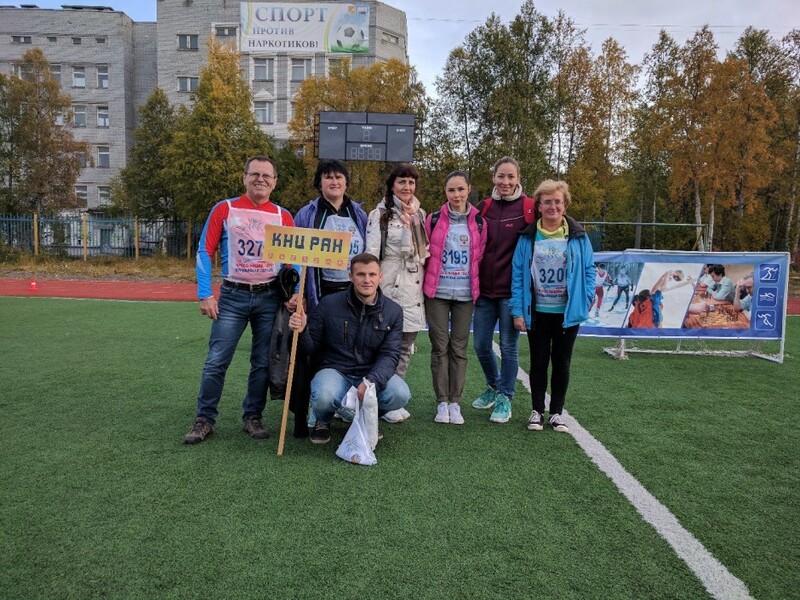 Employees of the Polar Geophysical Institute took part in organizing and holding the autumn tour of the Tournament of Cities. The tournament was organized on the basis of the MASU branch in Apatity. The basic version was held on October 8, difficult – on October 22nd. Schoolchildren of 8-11 grades took part in the tournament. The best works will be sent to Moscow for further verification. We thank all the schoolchildren for participation! On October 20, 2017, the delegation of the Polar Geophysical Institute, represented by Director B.V. Kozelov and scientific secretary K.G. 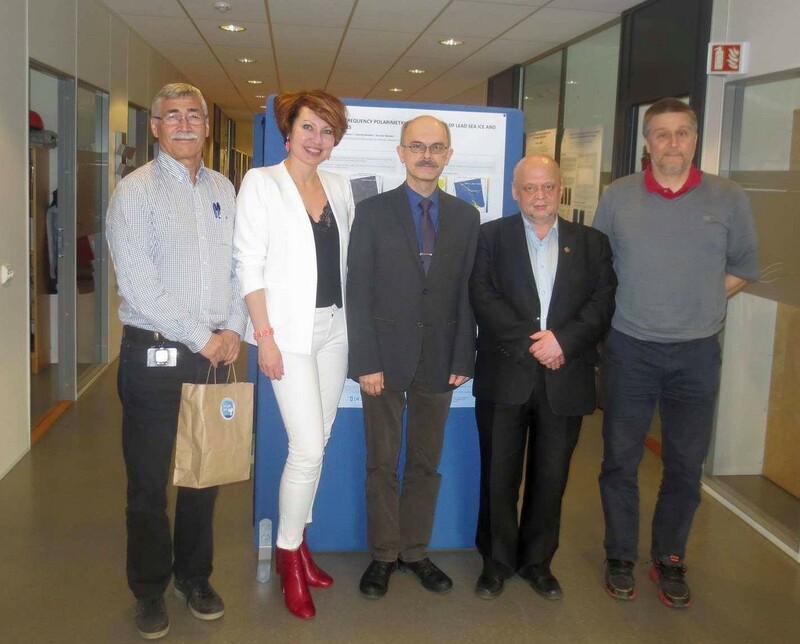 Orlov visited the Space Institute Physics (IRF) in Kiruna (Sweden). The purpose of the visit was the maintenance of traditional scientific ties between the two institutions and participation in solemn events, dedicated to the 60th anniversary of the IRF. In the scientific part, a number of reports on the history, research and development perspectives of the IRF were presented to the assembled representatives of related institutions from around the world. An excursion to the Institute and acquaintance with the instrument base and research methods were organized. On September 27, PGI staff visited Lovozero Observatory. The purpose of the visit was the holding of solemn events in connection with the 60th anniversary of the observatory. For young PGI staff, an excursion was organized around the territory of the observatory, where they got acquainted with the instrument base, observational methods and the history of the observatory. The city track and field athletics cross was September 17 in Apatity. 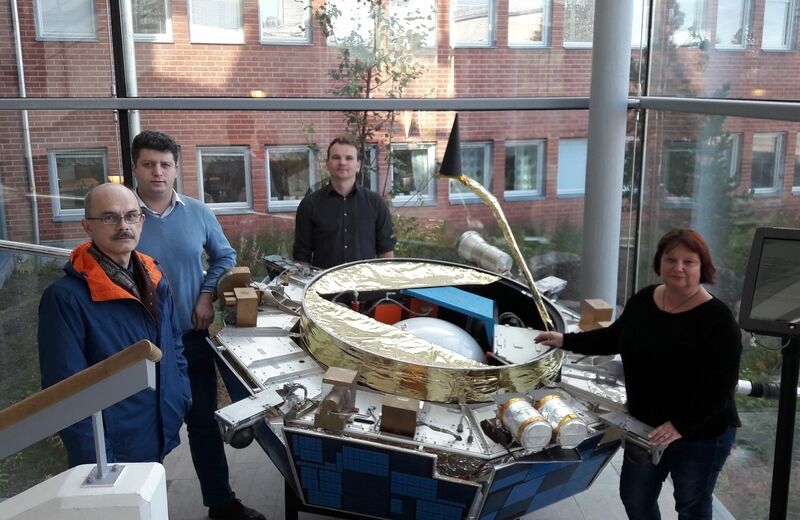 Researcher of the Laboratory of Magnetospheric-Ionospheric interactions Irina V. Despirak took part in this event as a member of the KSC RAS team. 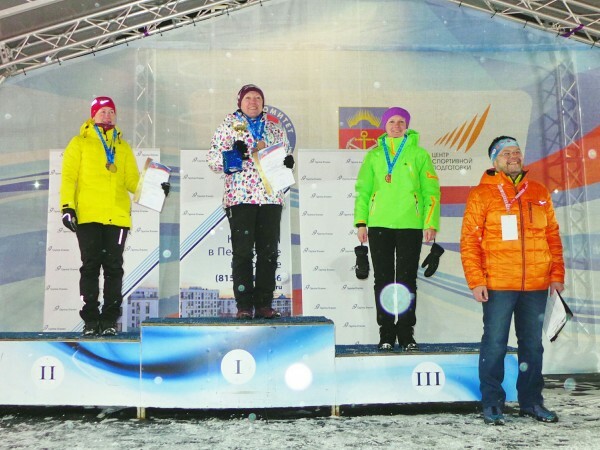 According to the results of the competition Irina Vadimovna took 1st place. Congratulations! Чем вспышки на Солнце грозят северянам? С 5 по 8 сентября 2017 года представители Полярного геофизического института в лице директора ПГИ Б.В.Козелова, помощника директора по международному сотрудничеству Полярного геофизического института Е.И.Скиотис и заведующего лабораторией радиопросвечивания ПГИ Р.Ю.Юрика посетили Арктический университет Норвегии – университет Тромсе (Норвегия). В рамках рабочего визита делегация ПГИ приняла участие в международной церемонии открытия EISCAT 3D и в рабочей встрече с руководителем Центра комплексного дистанционного зондирования и прогнозирования в Арктике и преподавателями факультета Физики и Технологий (Арктический университет Норвегии – университет Тромсе). В ходе дискуссии с Турбьерном Элтофтом (руководителем Центра комплексного дистанционного зондирования и прогнозирования), Бьерном Густавссоном (профессором факультета Физики и Технологий), а также советником ректора UiT Татьяной Савиновой были обсуждены и определены возможные перспективы сотрудничества и совместных проектов ПГИ и Арктического университета Норвегии – университета Тромсе. The VERSIM 2018 meeting page is opened. В рамках научно-деловой программы Международного военно-технического форума «АРМИЯ-2017», проводившейся в КВЦ «Патриот», директор ПГИ д.ф.-м.н. Б.В. Козелов принял участие в качестве модератора круглого стола «Гидрометеорология, взгляд из космоса». В работе круглого стола принимали участие представители ГМЦ МО РФ, РТИ, ИПГ, ИКИ РАН, ЮЗГУ, НИЦ «Планета», ЦАО и др. организаций. Научно-исследовательское судно “Дальние Зеленцы” с оборудованием для обсерватории «Баренцбург» вышло в море. 12 июля 2017 года, впервые после планового ремонта научно-исследовательское судно Мурманского морского биологического института “Дальние Зеленцы” вышло в экспедицию в Баренцево море. Маршрут – на север от Мурманска, разрез “Кольский меридиан”, а также – архипелаг Шпицберген. Одна из задач данной экспедиции – доставить оборудование для исследований верхней атмосферы и геофизических наблюдений, осуществляемых в Арктической обсерватории «Баренцбург» Полярного геофизического института. Данные исследования позволяют расширить наблюдательную сеть Института вплоть до геомагнитных широт полярной шапки. Станция космических лучей на архипелаге Шпицберген. Для справки: “Дальние Зеленцы” – научная станция для исследования Арктики. Скорость – 12 узлов. Автономность по запасам топлива, воды и провизии – до 35 суток. Сюжет на ТВ-21 об участии ПГИ в Общем собрании Совета северных приграничных муниципалитетов. 21 июня 2017 года в визит-центре заповедника «Пасвик» Печенгского района Мурманской области состоялось общее собрание Совета северных приграничных муниципалитетов. В рамках программы общего собрания помощником директора ПГИ по международному сотрудничеству Скиотис Еленой Ионасовной были представлены основные направления деятельности института и обсуждены возможности сотрудничества и реализации проектов в рамках программы «Коларктик» ИЕСП-ПС. В мероприятии приняли участие представители 7 муниципальных образований: Кольский район, Печенгский район и г.п. Никель (Российская Федерация); Энонтекиё, Инари, Соданкюля (Финляндская Республика); Сёр-Варангер (Королевство Норвегия). Особый интерес к совместным проектам с ПГИ обусловлен тем, что часть сети обсерваторий и исследовательских полигонов института находится на территории приграничного Кольского муниципалитета и тем, что учеными ПГИ накоплен богатый опыт международного сотрудничества с коллегами из обсерватории Соданкюля (Финляндская республика). Со своей стороны, ПГИ, заинтересован в продвижении и прикладном использовании результатов фундаментальных научных исследований в интересах северных территорий. По итогам мероприятия были обсуждены идеи совместных проектов и принят план проектной заявки. Issue “PGI Geophysical Data, January, Febuary, March 2017” is available. This bulletin presents the preliminary ground-based optical, geomagnetic and cosmic ray data obtained by Polar Geophysical Institute in the first quarter of 2017. All-sky camera observations are published only for the quarters when observations were carried out. All data are available by request. 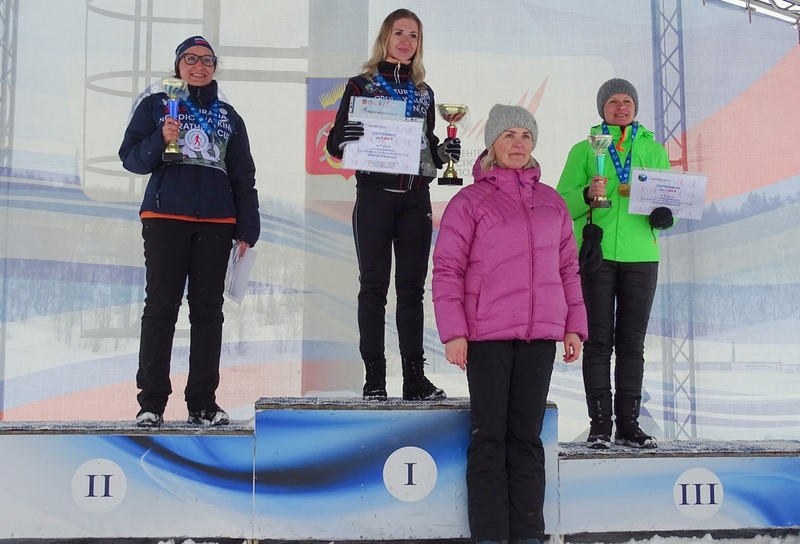 Оценка результативности деятельности ПГИ за период с 2013 по 2015 год. «В соответствии с постановлением Правительства Российской Федерации от 8 апреля 2009 г. № 312 «Об оценке и о мониторинге результативности деятельности научных организаций, выполняющих научно-исследовательские, опытно-конструкторские и технологические работы гражданского назначения», ФАНО России проводит внеочередную оценку результативности деятельности подведомственных научных организаций. В Мурманске 16 мая 2017 г. была проведена 16-я международная научная конференция студентов и аспирантов «Проблемы Арктического региона». Проведенная конференция продолжила усилия, направленные на организацию постоянно действующей научной конференции студентов и аспирантов, имеющей целью исследование процессов в Арктическом регионе, повышение уровня образования и привлечения талантливой молодежи для работы в науке, промышленности и высшей школе. В работе конференции приняли участие 266 студентов и представителей из 38 организаций. На конференции был представлен один заказной доклад и 149 докладов от 238 авторов. Работа конференции происходила по одиннадцати секциям: «Биология и медицина» (14 докладов), «Геология и геофизика Арктического региона» (6 докладов). «Гидробиология» (10 докладов), «Гуманитарные и социальные проблемы» (13 докладов), «Информационные технологии и математические методы» (8 докладов), «Морская биология» (15 докладов), «Проблемы образования в Арктическом регионе» (11 докладов), «Физические проблемы» (14 докладов), «Химико-технологические проблемы» (15 докладов), «Экология Севера» (20 докладов), «Экономические проблемы освоения Арктики» (23 доклада). Перед конференцией были выпущены рабочая программа и тезисы докладов и розданы всем авторам и представителям организаций для размещения в библиотеках. Все участники были обеспечены необходимой демонстрационной аппаратурой и имели возможность работать на компьютерах, печатать и ксерокопировать требуемые материалы. По результатам представленных докладов жюри конференции выделило на каждой секции наиболее интересные доклады, авторы которых были награждены дипломами и подарками. Федеральное агентство научных организаций совместно с ФГУП «Издательство «Наука» и Всероссийским научно-исследовательским институтом фундаментальной и прикладной паразитологии животных и растений им. К.И. Скрябина организовали проведение семинара на тему: «Создание, редактирование и публикация научной статьи мирового уровня» для руководителей научных организаций, научных групп, исследователей, членов редакций и редакционных коллегий научных журналов. Программа 16-й международной конференции студентов и аспирантов “Проблемы арктического региона”. Issue “PGI Geophysical Data, Oct. Nov. Dec. 2016” is available. This bulletin presents the preliminary ground-based optical, geomagnetic and cosmic ray data obtained by Polar Geophysical Institute in the fourth quarter of 2016. All-sky camera observations are published only for the quarters when observations were carried out. All data are available by request. Поздравляем Терещенко Евгения Дмитриевича с юбилеем! Коллектив Полярного геофизического института сердечно поздравляет Вас с юбилеем! В союзе с наукой, а это важная часть Вашей жизни, Вы проявили себя как высококлассный профессионал, ученый с мировым именем, успешный руководитель. Ваши достижения заслуженно отмечены государственными наградами. Высоко оценен коллегами вклад в развитие Полярного геофизического института, воспитание талантливых молодых исследователей. Ваши личностные качества, такие как целеустремленность, способность к упорному и кропотливому труду, основательность в решении задач, умение работать с людьми, доброжелательность и отзывчивость, снискали уважение всего коллектива. Искренне желаем, чтобы Ваш высокий профессионализм, жизненный опыт, всегда были востребованы, а дело, которому посвящена жизнь, нужным и интересным. 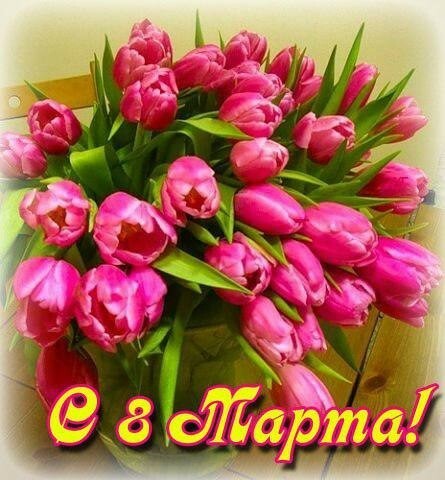 Крепкого Вам здоровья, любви близких, мира и благополучия! Лекция № 1. Свечение молекулярного азота и молекулярного кислорода в верхней атмосфере Земли (часть 1 – N2). О доступе к патентной информации. Департамент науки и технологий Минобрнауки России информирует о том, что всем российским ученым из сетей государственных научных и образовательных организаций через портал patscape.ru обеспечен безвозмездный доступ к патентной информации в любом месте и с любого устройства (мобильного телефона, планшета или персонального компьютера). Благодаря новому инструменту патентного поиска каждый ученый сможет видеть объективные данные о состоянии разработок в интересующих его направлениях исследований, а также получить количественную и качественную информацию о выданных патентах, вплоть до получения патентных документов по широкому набору источников (все российские и зарубежные массивы общим объемом более 120 млн. документов). Первый этап проекта по созданию нового инструмента патентного поиска выполнен в рамках совместной работы Минобрнауки России, Роспатента, Федерального института промышленной собственности и Евразийской патентной организации. Дальнейшие этапы его реализации предполагают значительное расширение доступных для ученых баз данных. Департамент науки и технологий надеется, что новый сервис станет полезен ученым и организациям в получении информации о потенциальных точках роста российской экономики, локальных и глобальных трендах в области патентования и развитии своего научного, коммерческого и изобретательского потенциала и просит вас довести информацию до сведения научных работников вашей организации. Полярный геофизический институт подключен к базе данных Web of Science. Конференция и школа молодых ученых “Атмосферы планет: от земной группы к экзопланетам”. Полярный геофизический институт, 27-29 марта 2017 г.
С 27 по 29 марта 2017 года в городе Апатиты в Полярном геофизическом институте РАН проходила научная конференция и школа молодых ученых “Атмосферы планет: от земной группы к экзопланетам”. Конференция организована совместно с лабораторией “Атмосфер планет земной группы и экзопланет” Института Космических исследований РАН и МФТИ и при участии лаборатории прикладной инфракрасной спектроскопии МФТИ. В конференции приняли участие около 40 человек (в том числе 32 – из других городов России, из них 27 – молодые ученые). Среди участников было три представителя зарубежных исследовательских институтов (из Франции, Японии и Бельгии). Конференция посвящена исследованию атмосфер планет земной группы: Земли, Венеры, Марса от современных физических процессов от тропосферы до экзосферы Земли, Марса, Венеры и спутника Сатурна Титана, полярных процессов в атмосферах. На конференции обсуждались как экспериментальные методы дистанционного изучения физических процессов атмосфер, так и последние данные наблюдений планет солнечной системы, результаты и методы численного моделирования динамики атмосфер. Особое место было уделено современным достижениям в области исследования экзопланет, перспективам развития методов детектирования землеподобных планет вне Солнечной системы. С 13 по 17 марта 2017 г. в Полярном геофизическом институте г. Апатиты проходил 40-й ежегодный Апатитский семинар «Физика авроральных явлений». В семинаре приняли участие около 100 человек (в том числе 59 – из других городов России, из них 31 – молодые ученые) из 25 научно-исследовательских институтов и университетов. Среди участников было семь представителей зарубежных исследовательских институтов (из Китая, Болгарии, Финляндии и Германии). Было представлено 67 устных и 62 стендовых докладов. Семинар посвящен обсуждению новейших результатов, полученных российскими учеными в области исследования геофизических процессов, наиболее интенсивно проявляющихся на широтах авроральной и субавроральной зон. На семинаре состоялось подведение итогов конкурса на соискание диплома имени Юрия Павловича Мальцева “За лучшую работу молодого российского ученого”. В конкурсе участвовали молодые ученые из семи исследовательских институтов и университетов. Рассматривались работы, опубликованные в 2015-2016 гг. Победителем конкурса стала Андреева Варвара Андреевна (аспирант Санкт-Петербургского госуниверситета). Специальным дипломом «За отличную первую публикацию» был отмечен студент третьего курса физического факультета МГУ Александр Виноградов. В рамках культурной программы 40-го Апатитского семинара «Физика авроральных явлений» состоялся концерт, в котором с большой программой выступил молодёжный хор Апатитского Дворца культуры им. В.К. Егорова под руководством Виктории Филин. Также были проведены экскурсии в Музей г. Кировск и в Снежную деревню. Финансирование Семинара проходило за счет средств гранта РФФИ и международной программы по исследованию изменчивости Солнца и его влияния на Землю (VarSITI). Поздравляем вас с наступающим праздником 8 Марта! Желаем вам оставаться такими же красивыми, нежными и всегда любимыми. Пусть каждый новый день приносит вам радость и улыбки. Влияние электронных высыпаний на эффективный коэффициент рекомбинации. Работа рекомендована для публикации в журнале «Геомагнетизм и аэрономия». 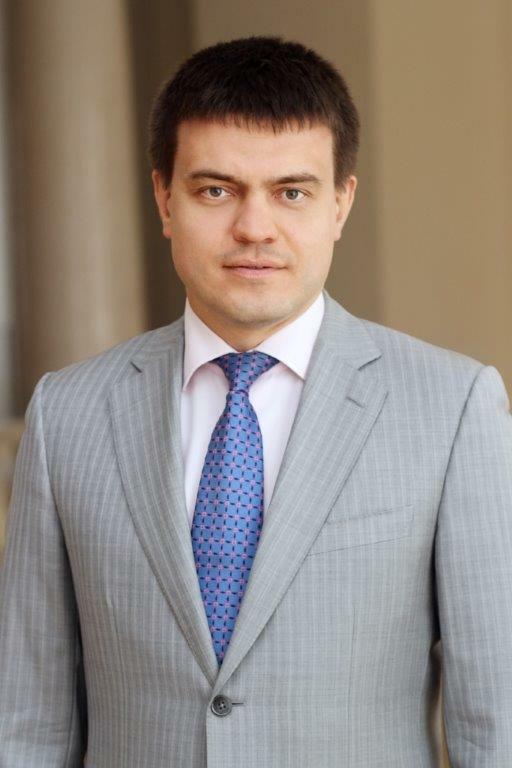 Трехзвенная модель оценки последствий выпадения черного углерода на снего-ледовую поверхность. В обсуждении работы приняли участие сотрудники ПГИ и ИППЭС КНЦ РАН. Результаты ПГИ в национальном докладе для COSPAR. На сайте Совета РАН по космосу размещен “Национальный доклад о результатах фундаментальных космических исследований в России за 2014 – 2015 годы”, подготовленный для COSPAR. В доклад включены результаты, полученные в ПГИ. На сайте ФАНО появились краткие рекомендации по подготовке и оформлению научных статей в журналах, индексируемых в международных базах данных. 31 января 2017 г., во вторник, в 14:30 состоится семинар. Место проведения: Апатиты, зал ПГИ. Доступ к журналам издательства Wiley. Решением Департамента науки и технологий Министерства образования и науки РФ Полярный геофизический институт вошел в дополнительный список победителей конкурса по доступу к журналам издательства Wiley. Получить доступ к ресурсу можно по ссылке http://onlinelibrary.wiley.com/ с институтских компьютеров в Апатитах и Мурманске. Issue “PGI Geophysical data. 2016. July, August, September” is available. This bulletin presents the preliminary ground-based optical, geomagnetic and cosmic ray data obtained by Polar Geophysical Institute in the third quarter of 2016. All-sky camera observations are published only for the quarters when observations were carried out. All data are available by request. Пирамиду посетила группа школьников из Москвы. Ребята учатся в Европейской Гимназии, увлекаются географией, в ПГИ их привело любопытство и искренне желание узнать больше о полярных сияниях. Группа старшеклассников Гимназии №1 г.Апатиты посетила наш институт. На экскурсии в Пирамиду ребята под руководством к.ф.-м.н. Гвоздевского Б.Б. осмотрели нейтронный монитор и познакомились с работой станции космических лучей. К.ф.-м.н. Сахаров Я.А. прочел школьникам лекцию о том, как космическую погоду изучают в ПГИ. Вышел приказ Рособрнадзора от 20.12.2016 о государственной аккредитации образовательной деятельности Полярного геофизического института. Сборник содержит более тридцати статей, подготовленных по устным и стендовым (”аппаратурным”) докладам, которые были представлены на всероссийской конференции Гелиогеофизические исследования в Арктике, 19-23 сентября 2016, г. Мурманск. Сборник издан при финансовой поддержке РФФИ и ФАНО. Электронно-возбужденные кислородные составляющие в атмосферах планет земной группы. приказ ФАНО о назначении на должность директора Полярного геофизического института. 29 ноября 2016 года вышел приказ ФАНО о назначении на должность директора Полярного геофизического института Козелова Бориса Владимировича. Полярный геофизический институт сердечно поздравляет Бориса Владимировича со вступлением в новую должность! В рамках рабочей командировки на архипелаг Шпицберген сотрудники Полярного геофизического института провели модернизацию и отладку научного оборудования. В рамках рабочей командировки на архипелаг Шпицберген сотрудники Полярного геофизического института провели модернизацию и отладку научного оборудования, а также рассказали телекорреспондентам об особенностях научных исследований на архипелаге. Отчеты по темам НИР и представление важнейших результатов за 2016 г.
Важнейшие результаты: Балабин Ю.В., Гвоздевский Б.Б. Отчет о деятельности лаборатории № 301. Отчет о проделанной работе за время обучения в аспирантуре ПГИ. В воскресение 6-го ноября 2016 года на базе Мурманского Арктического государственного университета в городе Апатиты проходил Математический праздник, организаторами которого являются сотрудники Полярного геофизического института. Всего в Математическом празднике приняли участие более 150 школьников с 4-го по 7-й классы. Победители и призеры были награждены грамотами и ценными призами. По результатам праздника будут сформированы группы школьников для занятий в Математической школе, преподавателями которой являются сотрудники Полярного геофизического института. Issue “PGI Geophysical data. 2016. April, May, June” is available. This bulletin presents the preliminary ground-based optical, geomagnetic and cosmic ray data obtained by Polar Geophysical Institute in the second quarter of 2016. All-sky camera observations are published only for the quarters when observations were carried out. All data are available by request. 5-я Школа молодых ученых “Высокоширотные геофизические исследования”. На 5 школе молодых ученых «Высокоширотные геофизические исследования», проходившей 27-28 октября 2016 года в Мурманске, в Полярном геофизическом институте, были представлены новые научные результаты, полученные молодыми российскими учеными в академических институтах и ВУЗах Мурманской области. Проведение уже ставшей традиционной конференции имеет большое значение для подготовки кадрового потенциала российской науки в области наук о Земле. По итогам конференции были выделены работы следующих молодых ученых: Маурчев Е.А. (ПГИ), Скороходов А.А. (Геологический институт КНЦ РАН), Лебедь О.М. (ПГИ), Суворова З.В. (ПГИ), Быченков П.А. (Мурманский государственный технический университет). С 27-го по 28-е октября 2016 года в Полярном геофизическом институте, г. Мурманск будет проходить 5-я Школа молодых ученых “Высокоширотные геофизические исследования”. Программа 5-й Школы молодых ученых. 19-го октября 2016 года в Полярном геофизическом институте проходили выборы директора Института. По результатам тайного голосования наибольшее число голосов набрал Козелов Борис Владимирович. Выборы директора Полярного геофизического института. 19 октября 2016 года в 13:00 состоится собрание трудового коллектива Института. Собрание будет проходить в Полярном геофизическом институте, г.Апатиты, зал ИХТРЭМС (4-й этаж). Регистрация участников собрания начинается в 12:00. 1. Разработано и утверждено Ученым советом ПОЛОЖЕНИЕ о порядке проведения выборов директора ФГБНУ ПГИ. 2. Определена дата и место проведения выборов директора Института: 19 октября 2016 года, Полярный геофизический институт, г.Апатиты. Issue “PGI Geophysical data. 2016. January, February, March” is available. This bulletin presents the preliminary ground-based optical, geomagnetic and cosmic ray data obtained by Polar Geophysical Institute in the first quarter of 2016. All-sky camera observations are published only for the quarters when observations were carried out. All data are available by request. Мингалев Игорь Викторович (программа развития ПГИ). Конференция «Гелиогеофизические исследования в Арктике» будет проводиться в Федеральном государственном бюджетном научном учреждении «Полярный геофизический институт» с 19 по 23 сентября 2016 в городе Мурманске. Основная цель конференции – способствовать координации научных исследований, регулярных наблюдений и наблюдательных кампаний, проводимых институтами ФАНО как самостоятельно, так и в кооперации с другими российскими научными организациями. Российский фонд фундаментальных исследований выделил грант на организацию и проведение конференции. Идея провести конференцию была поддержана также Отделением физических наук РАН и ФАНО РФ. Информация о конференции размещена на сайте ПГИ по адресу http://pgia.ru/gelio_in_arctic/ и регулярно обновляется. Открыт приём тезисов докладов на конференцию. Текст тезисов должен содержать название доклада, а также список авторов, включая название и краткий адрес организации, электронный адрес докладчика. Полный объем тезисов доклада не должен превышать 2000 знаков, включая пробелы. Язык – русский. В программе конференции запланирована сессия «аппаратурных» стендовых докладов, посвященных обсерваториям, видам наблюдений, аппаратуре и т.п. Приветствуются соображения по организации новых наблюдений, изготовлению и размещению новой аппаратуры, организации совместных наблюдательных кампаний. Оргкомитет готов отпечатать ваши стендовые доклады в редакционном отделе КНЦ РАН за счет средств гранта РФФИ. Для этого просим в срок не позднее 7 сентября представить электронную версию стендового доклада в формате pdf (см. образец на сайте конференции http://pgia.ru/lang/ru/gelio_in_arctic/stend_doc/). По окончании конференции на основе «аппаратурных» стендовых докладов оргкомитет планирует издать в виде отдельного буклета (либо в качестве Приложения к Трудам конференции) информационно-справочную, иллюстрированную фотографиями брошюру о направлениях исследований, видах наблюдений, а также о составе и кратких характеристиках парка наблюдательных средств институтов-участников конференции. Тезисы докладов присылать по адресу vladimir.safargaleev@pgia.ru до 29 августа 2016 г. В письме просим также сообщить секцию, где доклад будет представлен, предполагаемые сроки пребывания в Мурманске и необходимость помощи оргкомитета в бронировании гостиницы. Кандидаты на должность директора Федерального государственного бюджетного научного учреждения «Полярный геофизический институт». ФГБНУ «Полярный геофизический институт» вошел в число организаторов межведомственного консорциума «Российский научный центр на архипелаге Шпицберген». ФГБНУ «Полярный геофизический институт» вошел в число организаторов межведомственного консорциума «Российский научный центр на архипелаге Шпицберген». Соглашение о создании консорциума подписано врио директора ПГИ Козеловым Б.В. ФАНО России объявило о начале приема документов кандидатов на должность директора Федерального государственного бюджетного научного учреждения «Полярный геофизический институт». Issue “PGI Geophysical data. 2015. October, November, December” is available. This bulletin presents the preliminary ground-based optical, geomagnetic and cosmic ray data obtained by Polar Geophysical Institute in the fourth quarter of 2015. All-sky camera observations are published only for the quarters when observations were carried out. All data are available by request. На заседании конкурсной комиссии ПГИ утверждены победители конкурса на замещение вакантных должностей. - младшего научного сотрудника (0.5 ставки) в Сектор оптических методов – Никитенко А.С. Конференция «Гелиогеофизические исследования в Арктике» будет проводиться в Федеральном государственном бюджетном учреждении науки «Полярный геофизический институт» с 19 по 23 сентября 2016 в городе Мурманске. Поздравляем Касаткину Елену Алексеевну с защитой докторской диссертации. Полярный геофизический институт поздравляет Касаткину Елену Алексеевну с успешной защитой докторской диссертации на тему «Воздействие солнечных и межпланетных факторов на атмосферу и климат Земли». Желаем дальнейших выдающихся достижений в науке, крепкого здоровья и благополучия. Поздравляем Сафаргалеева Владимира Ваисовича с юбилеем. От всей души поздравляем Владимира Ваисовича со славным юбилеем, желаем крепкого здоровья, успехов в работе, новых научных достижений. Поздравляем Мингалева Виктора Степановича с юбилеем. Поздравляем Виктора Степановича со славным юбилеем, желаем крепкого здоровья, благополучия, новых научных открытий и достижений. Полярный геофизический институт сердечно поздравляет Лебедь Ольгу Михайловну с успешной защитой диссертации на соискание ученой степени кандидата физико-математических наук и желает дальнейших творческих успехов и достижений в научной деятельности. 9 мая 2016г. C Днем Победы в Великой Отечественной войне! 29 апреля в рамках Совета молодых ученых ПГИ прошли вторые «Полярные чтения», посвященные представлению и обсуждению фундаментальных и прикладных проблем физики околоземного космического пространства. - Белаховский В.Б. Физическая природа геомагнитных бурь и суббурь. - Никитенко А.С. Определение параметров ОНЧ волн по результатам трехкомпонентных наземных наблюдений. - Маурчев Е.А. Краткий экскурс в теорию исследования космических лучей. 11 апреля 2016 года в городе Апатиты в Полярном геофизическом институте будет проводиться научная конференция «Полярные процессы в атмосферах Земли и планет». Конференция организуется совместно с Институтом космических исследований РАН и МФТИ. Конференция посвящена исследованиям физических процессов в полярных областях атмосфер Земли, Марса, Венеры и спутника Сатурна Титана, обсуждению новейших результатов, полученных российскими учеными в области исследования атмосферы и ионосферы Земли, а также особенностей атмосфер и ионосфер планет солнечной системы и их спутников, наиболее интенсивно проявляющихся на широтах полярной шапки. На конференции будут обсуждаться экспериментальные методы дистанционного изучения физических процессов атмосфер и ионосфер Земли, а также планет солнечной системы и их спутников. Будут рассматриваться последние данные наблюдений о динамических процессах в атмосферах и ионосферах Земли, планет солнечной системы и их спутников, результаты и методы численного моделирования динамики атмосфер и ионосфер. Будут обсуждаться химические и фотохимические процессы в атмосферах и ионосферах Земли и планет, а также последние достижения экспериментальных и теоретических исследований этих процессов. Рабочий язык конференции – русский, однако иностранные участники конференции могут представлять свои доклады и на английском языке. Для участия в конференции регистрационный взнос не предполагается. Размещение участников предполагается в гостинице “Аметист”. Подача тезисов будет осуществляться по электронной почте с 8 февраля по 5 апреля 2016 года. Тезисы доклада должны содержать название, авторов, место работы авторов и аннотацию 5-12 строк. March 17, 2016 Polar Geophysical Institute heartily congratulates Igor V. Mingalev with successful defense of his doctorate thesis. Polar Geophysical Institute heartily congratulates Igor V. Mingalev with successful defense of his doctorate thesis and wishes him much success in his further scientific activity. 17 марта 2016г. конференция “Гелиогеофизические исследования в Арктике”. Федеральное государственное бюджетное учреждение науки «Полярный геофизический институт» намерен провести с 19 по 23 сентября 2016 года в г. Мурманск конференцию «Гелиогеофизические исследования в Арктике». МОДЕЛИРОВАНИЕ ХАРАКТЕРИСТИК СИГНАЛА СРЕДНЕШИРОТНОГО КОГЕРЕНТНОГО ЭХА ПО ДАННЫМ ИРКУТСКОГО РАДАРА НЕКОГЕРЕНТНОГО РАССЕЯНИЯ. (Представление кандидатской диссертации в ведущей организации. Научный руководитель: Шпынёв Борис Геннадьевич, в.н.с., к.ф.-м.н.). 2 марта 2016. Культурная программа XXXIX Апатитского семинара. В рамках культурной программы во время XXXIX Апатитского семинара «Физика авроральных явлений» состоялся концерт. В первом отделении народные песни и романсы исполнила Ольга Мингалёва (меццо-сопрано). Во втором отделении с большой программой выступил молодёжный хор Кольского филиала Петрозаводского государственного университета под руководством Виктории Филин. Сотрудники Полярного геофизического института принимали участие в одиннадцатой конференции “Физика плазмы в солнечной системе”, проходившей с 15 по 19 февраля в Институте космических исследований РАН. Тематика представленных сотрудниками ПГИ докладов включает теоретические и экспериментальные исследования плазменных процессов в гелиосфере, в частности, процессов в солнечном ветре, в ионосфере и магнитосфере Земли и других планет солнечной системы; исследования волновых процессов в космической плазме; работы по физике тонких токовых слоев, численному и лабораторному моделированию различных плазменных процессов. Команда Математической школы Кольского филиала ПетрГУ, организаторами и преподавателями которой являются сотрудники Полярного геофизического института, приняла участие в XXVII Математическом празднике, который состоялся 21 февраля в Московском государственном университете им. Ломоносова. По результатам праздника четверо ребят математической школы получили похвальные грамоты и призы за успешное решение задач. Всего в этом году в математическом празднике приняли участие более четырех тысяч школьников из Москвы, Московской области, а также других регионов России и даже из других стран. 22 января 2016г. Обращение к научным сотрудникам на сайте ФАНО. Уважаемые научные сотрудники организаций, подведомственных ФАНО России! Если Вы являетесь соавтором статьи, которая недавно была принята к публикации или опубликована в престижном научном журнале, то эта статья может и должна стать новостным поводом для СМИ. Но для того, чтобы стать героем публикации, нужно рассказать о своем достижении. Предлагаем сообщить о своем открытии, заполнив форму на сайте. Полученная от Вас информация будет передана научным журналистам российских СМИ. 11 января 2016 г. Поздравляем Иванова Владимира Евгеньевича с юбилеем! Поздравляем Иванова Владимира Евгеньевича, д.ф.-м.н., заместителя директора по научной работе, с юбилеем и объявлением благодарности за многолетнюю и плодотворную научную деятельность! Юбиляра также поздравили представители Кольского филиала Петрозаводского государственного университета (на фото). 31 декабря 2015г. 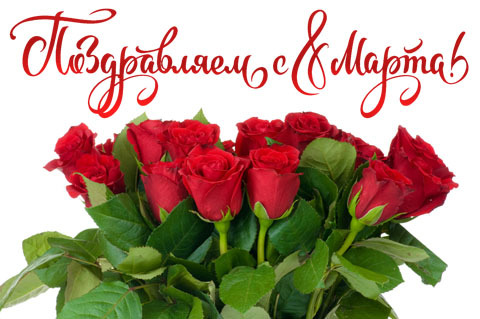 С Новым Годом! Поздравляю всех сотрудников института с Новым 2016 годом! Желаю в Новом году всем семейного счастья, здоровья и новых творческих успехов! December 22, 2015 Issue “PGI Geophysical data. 2015. July, August, September” is available. This bulletin presents the preliminary ground-based optical, geomagnetic and cosmic ray data obtained by Polar Geophysical Institute in the third quarter of 2015. All-sky camera observations are published only for the quarters when observations were carried out. All data are available by request. 22 декабря в 15:00 в Малом зале состоится семинар ГИ КНЦ РАН. Название доклада: “Эксперимент “Ладога-2015″ – техника, методика, предварительные результаты”. Докладчик – м.н.с., аспирант В.Е. Колесников. Соавторы доклада: А.А. Жамалетдинов, А.Н. Шевцов, А.А. Скороходов. December 1, 2015 Issue “PGI Geophysical data. 2015. April, May, June” is available. This bulletin presents the preliminary ground-based optical, geomagnetic and cosmic ray data obtained by Polar Geophysical Institute in the second quarter of 2015. All-sky camera observations are published only for the quarters when observations were carried out. All data are available by request. Отчеты по темам НИР и представление важнейших результатов за 2015 г.
Важнейшие результаты: Ларченко А.В., Лебедь О.М. Важнейшие результаты: Мингалев О.В., Головчанская И.В., Титова Е.Е. November 16, 2015 Issue “PGI Geophysical data. 2015. January, February, March” is available. This bulletin presents the preliminary ground-based optical, geomagnetic and cosmic ray data obtained by Polar Geophysical Institute in the first quarter of 2015. All-sky camera observations are published only for the quarters when observations were carried out. All data are available by request. 7 ноября 2015 г. в Апатитах сотрудники института приняли участие в проведении выездной учебной сессии Мурманской областной очно-заочной школы дополнительного образования для одаренных детей «А-Элита». 5 ноября 2015. “Вести-Мурман” о совместных исследованиях ММБИ и ПГИ. 29-30 октября 2015 г. прошла 4 Школа молодых ученых «Высокоширотные геофизические исследования» в г. Мурманск, на базе Полярного геофизического института. В работе конференции приняли участие молодые ученые, аспиранты, студенты из следующих организаций: Полярный геофизический институт, Мурманский государственный технический университет, Центр физико-технических проблем энергетики Севера КНЦ РАН, Научный отдел медико-биологических проблем адаптации человека в Арктике КНЦ РАН. На конференции было представлено 3 пленарных, 11 устных и 22 стендовых доклада. - Карпов М.И. (МГТУ). Формирование мезомасштабного электрического поля в ионосфере в период подготовки землетрясений. - Маурчев Е.А. (ПГИ). Численное моделирование в различных задачах физики космических лучей. - Лебедь О.М. (ПГИ). Решение уравнения типа свертки с помощью инверсного фильтра. - Пильгаев С.В. (ПГИ). Модовый состав поля искусственного ионосферного источника. - Канатьев А.Г. (ПГИ). Дендрохронологические исследования на Кольском полуострове. Представленные на конференции работы после прохождения рецензирования будут опубликованы в журнале «Труды Кольского научного центра» (выпуск «Гелиогеофизика»), индексируемого в РИНЦ. September 18, 2015 PGI delegation headed by Boris Kozelov, a caretaker PGI Acting Director, paid a visit to Yury Gribkov, a General council of the Russian Federation in Barentzburg. During scientific-organizational trip to Barentzburg (Shbitsbergen), PGI delegation headed by Boris Kozelov, a caretaker PGI Acting Director, paid a visit to Yury Gribkov, a General council of the Russian Federation in Barentzburg. The perspectives of scientific research in Arctic were discussed. September 15, 2015 Acting Director of PGI B.V.Kozelov gave an interview to the TV company “Murman” about aurora and space weather. 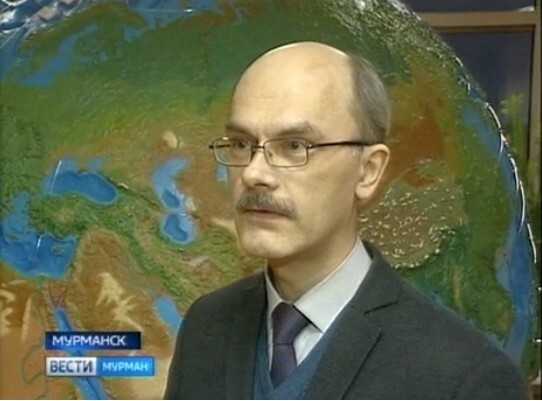 Acting Director of PGI B.V.Kozelov gave an interview to the TV company “Murman” about aurora and space weather. September 4, 2015 The weekly newspaper “Poisk” №36 (2015) published an article “Space emotions. Nature of near-Earth space magnetodynamic disturbances becomes clear ” written by PGI researcher V . Belakhovsky, Ph.D. The weekly newspaper “Poisk” №36 (2015) published an article “Space emotions. Nature of near-Earth space magnetodynamic disturbances becomes clear ” written by PGI researcher V . Belakhovsky, Ph.D.
3 августа 2015г. Поздравляем Любчича Андриса Алексеевича с юбилеем! Поздравляем Любчича Андриса Алексеевича, к.ф.-м.н., старшего научного сотрудника лаборатории 202 с юбилеем и объявлением благодарности за многолетнюю и плодотворную научную деятельность! 9 июля 2015г. Поздравляем Терещенко Евгения Дмитриевича с награждением Почетной грамотой Российской академии наук! Поздравляем Терещенко Евгения Дмитриевича, д.ф.-м.н. , научного руководителя института с награждением Почетной грамотой Российской академии наук за добросовестный труд на благо отечественной науки, высокий профессионализм, многолетнюю научно-исследовательскую деятельность и научные достижения в области наук о Земле ,большую научно-организационную работу в должности директора института! 9 июля 2015г. Поздравляем Куликова Юрия Николаевича с юбилеем! Поздравляем Куликова Юрия Николаевича, к.ф.-м.н., старшего научного сотрудника лаборатории 501 с юбилеем и объявлением благодарности за многолетнюю и плодотворную научную деятельность! 22 июня 2015г. Российским научным фондом выделен грант на проведение исследований на тему «Теоретическое и экспериментальное исследование резонансного взаимодействия волн с энергичными заряженными частицами в околоземной космической плазме». Российским научным фондом выделен грант на проведение в Полярном геофизическом институте в 2015-2017 гг. коллективом под руководством д.ф.-м.н. Демехова Андрея Геннадьевича исследований на тему «Теоретическое и экспериментальное исследование резонансного взаимодействия волн с энергичными заряженными частицами в околоземной космической плазме». 26 мая 2015г. Приказом ФАНО России от 26.05. 2015г.№242 утверждены изменения в устав ПГИ об учреждении должности научного руководителя Института. Поздравляем Шипилова Э. В. ставшего лауреатом премии МАИК “Наука/Интерпериодика” за 2013 г.
Поздравляем Шипилова Эдуарда Викторовича ставшего, в числе соавторов, лауреатом премии Международной академической издательской компании (МАИК) “Наука/Интерпериодика” за 2013 г. со статьей «Геодинамическая модель развития Арктического бассейна и примыкающих территорий для мезозоя и кайнозоя и внешняя граница континентального шельфа России». 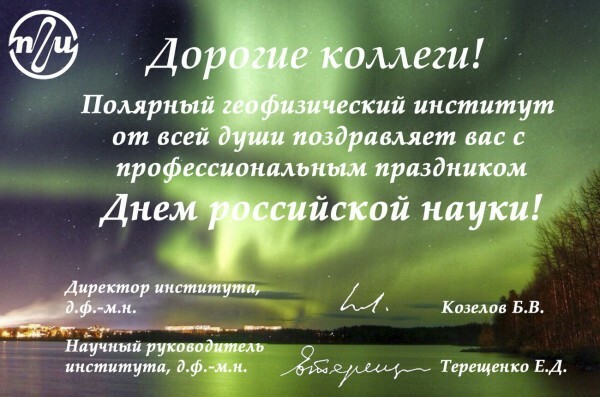 We heartily congratulate Ilya and Tatyana Kornilovs with the MAIK award “Science/Interperiodicals” for a cycle of researches “Wave effects of in the initial phase of the magnetic storm”. Междисциплинарный научный форум Moscow Science Week 2014 г. Москва, 8 – 12 сентября 2014 г.
Приказ об утверждении перечня платных услуг по основным видам деятельности и размера оплаты за их оказание на 2014 г. We heartily congratulate Andrey Kirillov with successful defence of his doctorate thesis and wish all kind of success in his further scientific activity. 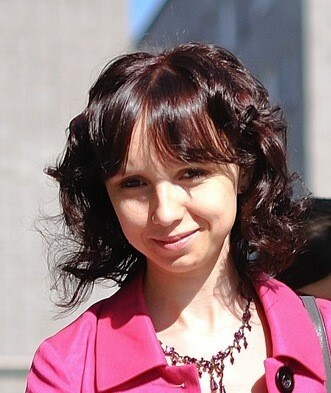 We heartily congratulate Irina Golovchanskaya with successful defence of her doctorate thesis and wish all kind of success in her further scientific activity. A workshop ‘Polar processes in planetary atmospheres’ will be jointly run by MPhTI, IKI and PGI on 15-18 April 2013 in Apatity. For more information, please, contact Igor Mingalev mingalev_i@pgia.ru or Irina Golovchanskaya golovchanskaya@pgia.ru. 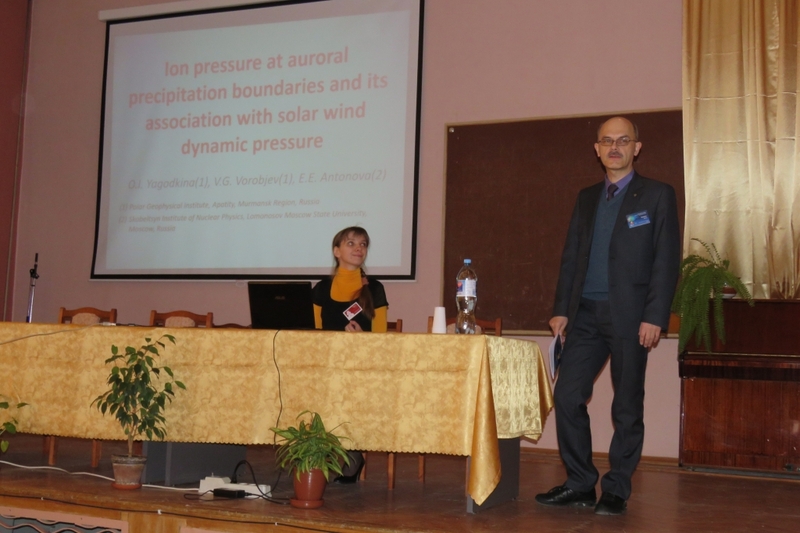 36th annual seminar “Physics of auroral phenomena” was run 26 February through 1 March 2013 in Apatity. About 80 scientists from 19 Research Institutes of the Russian Federation made 46 talks and presented 61 posters. Many students and postgraduates came from SpbSU, medical-biological department of KSC RAS, AASRI, NNSU, KSU and MSTU. Yet, the major part of young scientists who presented their studies (12 in number) was those of PGI. The seminar was well-organized. The seminar committee is grateful to PGI administration for the assistance and financial support. 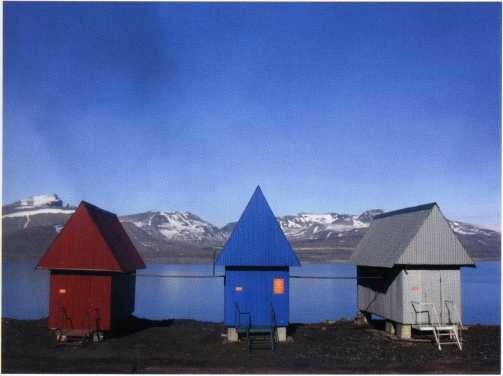 Success of PGI optical researchers at Spitsbergen is reported at http://kho.unis.no/. We heartily congratulate Sergei Chernouss, Alexey Roldugin, Yury Fedorenko, Boris Kozelov, Andrey Kirillov, Ilia Kornilov and Vladimir Safargaleev, whose paper «Hyperspectral all-sky imaging of auroras» published in the «Optics Express» is available through this link . 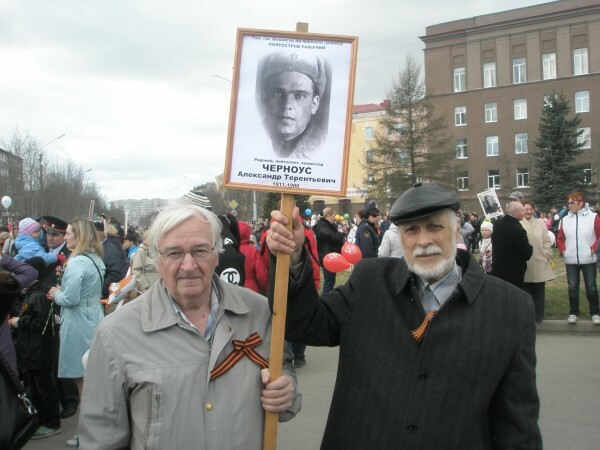 18 октября 2012 г. в Полярном геофизическом институте КНЦ РАН (г.Мурманск) в рамках Программы Президиума РАН «Поддержка молодых учёных» состоялась II-ая Школа молодых учёных «Высокоширотные геофизические исследования». В ней приняли участие 30 молодых научных сотрудников, аспирантов и студентов ПГИ КНЦ РАН, МГТУ, ПетрГУ и других научно-исследовательских и высших учебных заведений северо-западного региона РФ. Были представлены 20 устных и постерных докладов, посвящённых экспериментальным и теоретическим исследованиям физических процессов в высокоширотной магнитосферно-ионосферной системе. Дипломами школы были отмечены доклады «Скорость распространения атмосфериков на трассе Ловозеро-Баренцбург» (Лебедь О.М., ПГИ КНЦ РАН), «Вертикальная составляющая магнитного поля крайне низкочастотного естественного шумового фона вблизи геологического разлома» (Сидоренко А.Е., ПГИ КНЦ РАН), «Измерения геофизических сигналов с прецизионной привязкой данных ко времени» (Пильгаев С.В., ПГИ КНЦ РАН), «Численное моделирование зависимости полного электронного содержания ионосферы от электрических токов между землёй и ионосферой перед сильными землетрясениями» (Карпов М.И., МГТУ), «Сопоставление погрешностей GPS-позиционирования с геофизическими данными» (Степанов А.С., ПетрГУ). Был отмечен высокий научный уровень представленных докладов. We heartily congratulate Vladimir Belakhovskiy with successful defence of his candidate thesis and wish him all kind of success in his further scientific activity. 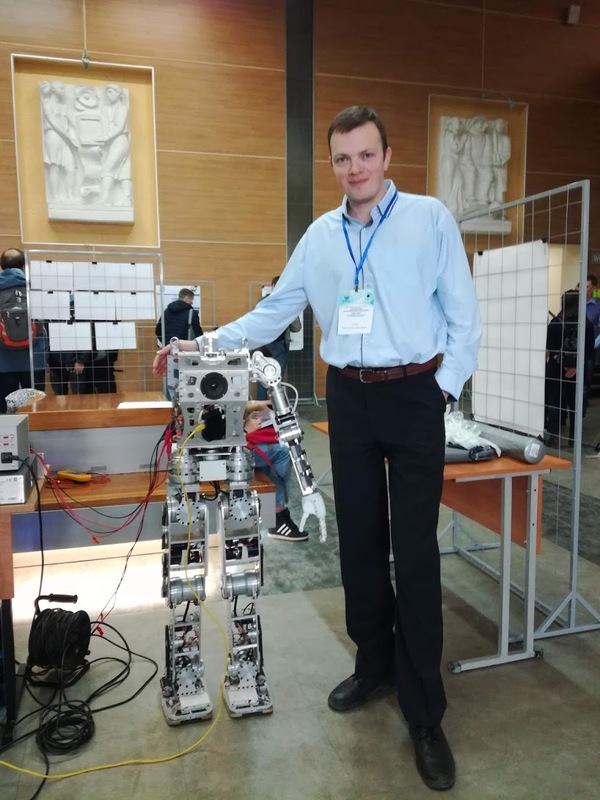 We heartily congratulate Konstantin Orlov with successful defence of his candidate thesis and wish him all kind of success in his further scientific activity. 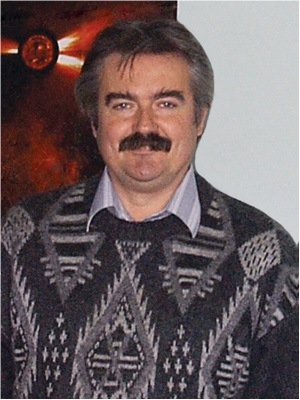 We also congratulate Konstantin’s scientific guide Igor V. Mingalev. 15th International EISCAT Workshop was run in Tsindao, China, on 5-9 September 2011 under the supervision of the Chinese Research Institute of Radiowave Propagation (CRIRP). New scientific results on space weather, solar-magnetosphere-ionosphere-atmosphere coupling, processes in the high-latitude ionosphere, mesosphere, and thermosphere, meteor phenomena, measurements of ionosphere parameters, etc., obtained with both conventional and new EISCAT techniques, were presented. EISCAT scientific association possesses most advanced incoherent scatter radars, as well as other facilities in Northern Scandinavia, to investigate space medium in the area of aurora. A few talks on the history of the EISCAT association were devoted to its 30-years jubilee, which was joint with the seminar. PGI scientific researcher Roman Yurik took part in the event. 24-26 мая в ИЗМИРАНе, г. Троицк, проходила научная конференция «Базы данных, инструменты и информационные основы полярных геофизических исследований». Наш институт был представлен докладами Б.Б. Гвоздевский, Ю.В. Балабин, Э.В. Вашенюк «Система радиационного мониторинга в арктическом и субарктическом регионах (Баренцбург, арх. Шпицберген – Апатиты, Кольский п-ов)» и Ю.В. Катькалов, Я. А. Сахаров «Специализированная база геофизических данных ПГИ». In May 2011 two workshops were run in the frame of Svalbard Integrated Observing System (SIOS)-PP project, http://www.sios-svalbard.org/, with representatives of 25 partners, 15 associated partners, PGI a full-member of SIOS Consortium. 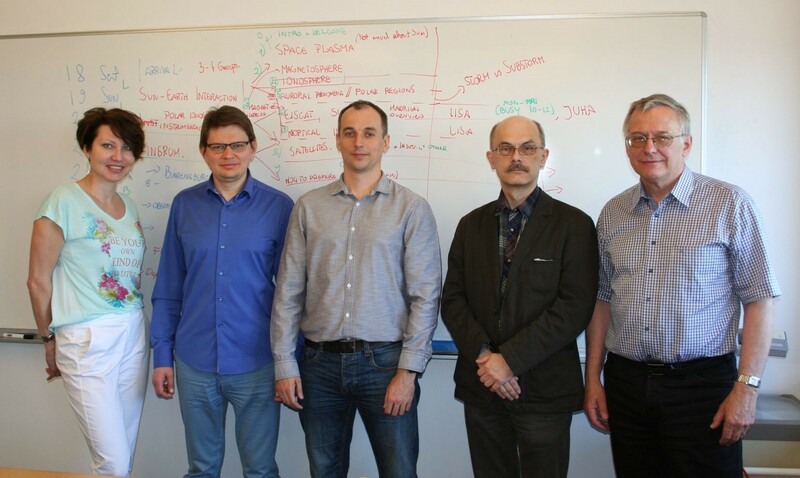 The workshop on Internal Integration Strategy was held in UNIS, Longyearbyen, Svalbard, and that on Optimization of SIOS Platform and Instrument Maintenance – in Institute of Geophysics, PAN, Warsaw, Poland. 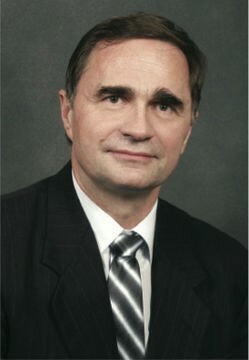 PGI Deputy Director Vladimir V. Safargaleev was a delegate on both workshops. 01 марта начались работы по гранту EURISGIC – European Risk from Geomagnetically Induced Currents, предоставленному на три года Европейским Союзом по Рамочной программе FP7, проект 260330. From 02nd to 09th of March 2011, PGI researchers M. Shvets and E. Dubrovskiy participated in the international experiment on the investigation of ionosphere heating phenomena initiated by powerful HF radio-waves emitted by EISCAT (69.6º N, 19.2º E, L=6.2, I=78º), in Tromsø, Norway (http://www.eiscat.se/). 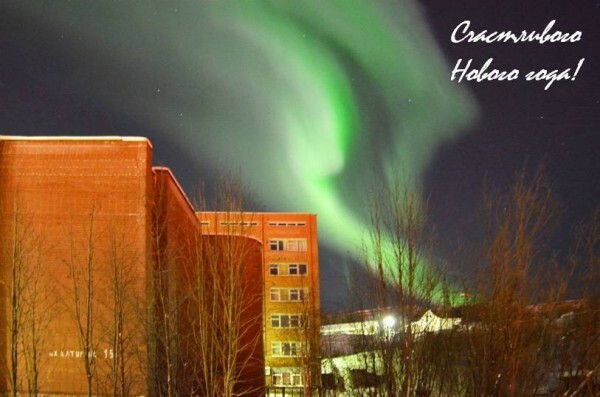 On 1-4 March 2011 the 34th annual seminar «Physics of auroral phenomena» was held in the Polar Geophysical Institute. 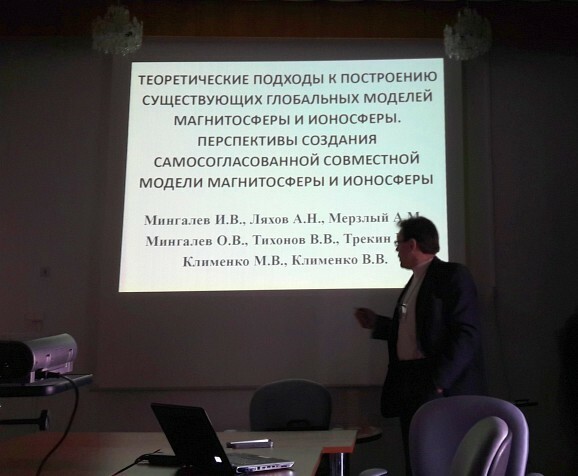 Some 100 scientists from 18 research Institutes and Universities of the Russian Federation (from Yakutsk up to Kaliningrad) made 55 talks and presented about 60 posters on the problems of space plasma physics, aurora, cosmic rays, radio wave propagation, etc. The proceedings of the seminar will be issued till the end of the year. Фотоальбом Фотографии полярных сияний (из архива С. Черноусса) , а также другие альбомы, Вы сможете найти в разделе Фотогалерея. К 50-летнему юбилею ПГИ нами был подготовлен фотоальбом, в котором Вы сможете найти фотографии сотрудников, работавших в ПГИ в различное время, а также фотографии, в которых запечатлены отдельные события из жизни института за последние 50 лет. Фотоальбом История ПГИ в фотографиях (к 50-летнему юбилею ПГИ), а также другие альбомы, Вы сможете найти в разделе Фотогалерея. 16-17 сентября 2010 г. в Полярном геофизическом институте КНЦ РАН в г. Апатиты состоится конференция «Состояние и перспективы развития геофизических исследований в высоких широтах», посвященная 50-летию образования Полярного геофизического института КНЦ РАН. Программа конференции состоит из приглашенных (устных) и стендовых докладов. Редактор MS Word, шрифт 12 через 1 интервал, объём до 3 страниц. Допускаются иллюстрации, в том числе цветные. Язык издания русский, но, по желанию, можно использовать английский. Тезисы можно представить на сайте нашего института на странице конференции (вначале надо зарегистрироваться и после регистрации перейти на страницу подачи тезисов). В случае проблем с загрузкой, материалы можно прислать по электронной почте по адресу y.k@pgia.ru. Срок представления тезисов до 10 июня. По вопросам участия в конференции можно обращаться в оргкомитет по электронной почте: ivanov@pgia.ru или yahnin@pgia.ru . Мы начали прием статей в сборник трудов 33-го Апатитского семинара “Физика авроральных явлений”. Информацию о формате представления статей Вы можете найти ниже и на сайте семинара http://pgia.ru/seminar/. ХХIII Апатитский Семинар “Физика авроральных явлений” состоится 2 – 5 марта 2010 г.
Сформирована предварительная программа семинара, которая появится на сайте семинара 9 февраля. Представление устного доклада – 15 мин. Представление стендового доклада – 2 мин. На сайте семинара продолжается регистрация и прием тезисов. Там же можно найти тезисы уже заявленных докладов. We heartily congratulate Oleg I. Akhmetov with successful defence of his candidate thesis and wish him all kind of success in his further scientific career. Численное моделирование волновых возмущений в ионосфере в диапазоне Рс1.